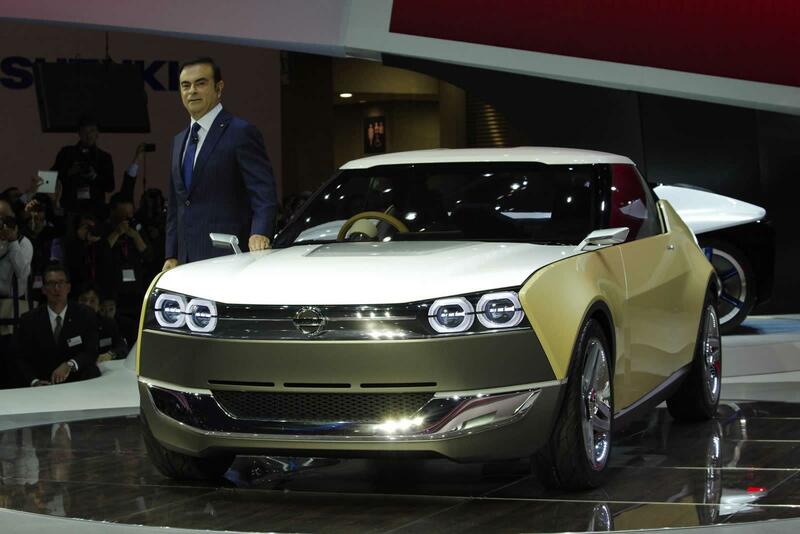 Αν η Toyota νόμιζε πως μόνο αυτή έχει κρυμμένο τον άσσο της νοσταλγίας στο μανίκι λανσάροντας το GT86, η Nissan ήρθε στην έκθεση του Τόκιο να διαλύσει αυτή την πεποίθηση. Μπορεί να παίξει και αυτή αυτό το παιχνίδι και νομίζω πως όλοι μας παρακαλάμε να το κάνει. 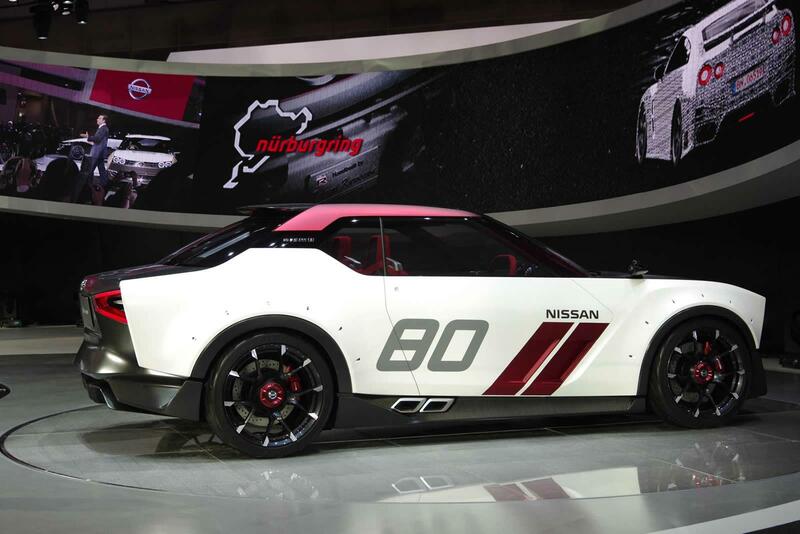 Μιλάω φυσικά για την θρυλική πρώτη γενιά Skyline GT-R, το περίφημο Hakosuka, το ιστορικό KPGC10 που βγήκε στην παραγωγή στα τέλη της δεκαετίας του ’60 (το τετράθυρο)- αρχές της δεκαετίας του ’70 (το coupe) και αναβιώνεται εν έτη 2013. Παρότι δεν αναφέρεται πουθενά στο δελτίο τύπου της Nissan, δεν χρειάζεται ιδιαίτερη φαντασία για να καταλάβει κανείς πως εκεί βρίσκεται η πηγή έμπνευσης για το Nissan IDx Freeflow και IDx Nismo που παρουσιάστηκαν στην έκθεση του Τόκιο. 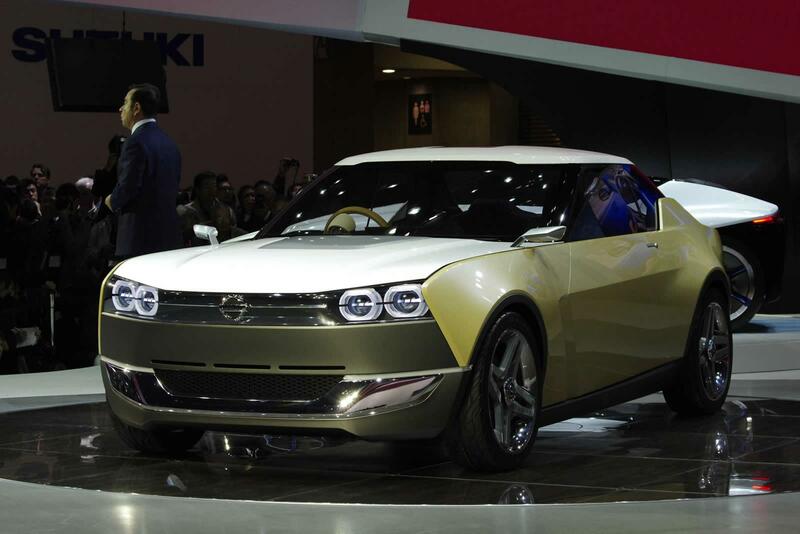 Θα μπορούσα να πάω και στο Datsun Bluebird 1600 SSS Coupe αλλά μιας που είναι μεταγενέστερο του KPGC10, επέλεξα το Skyline. Το IDx Freeflow είναι αρκετά μικρό. Μετράει 4.1 μέτρα σε μήκος, 1.7 μέτρα ε πλάτος και μόλις 1.3 μέτρα σε ύψος. 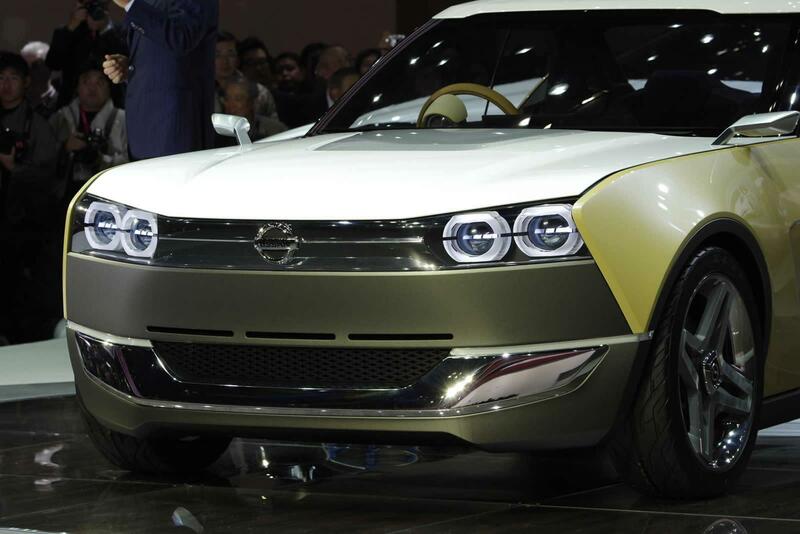 Δυστυχώς το concept δεν διαθέτει κινητήριο σύνολο αλλά η Nissan λέει πως το φαντάστηκε με έναν βενζινοκινητήρα 1.2-1.5 λίτρων που συνδυάζεται με κιβώτιο διαρκώς μεταβαλλόμενων σχέσεων (CVT). 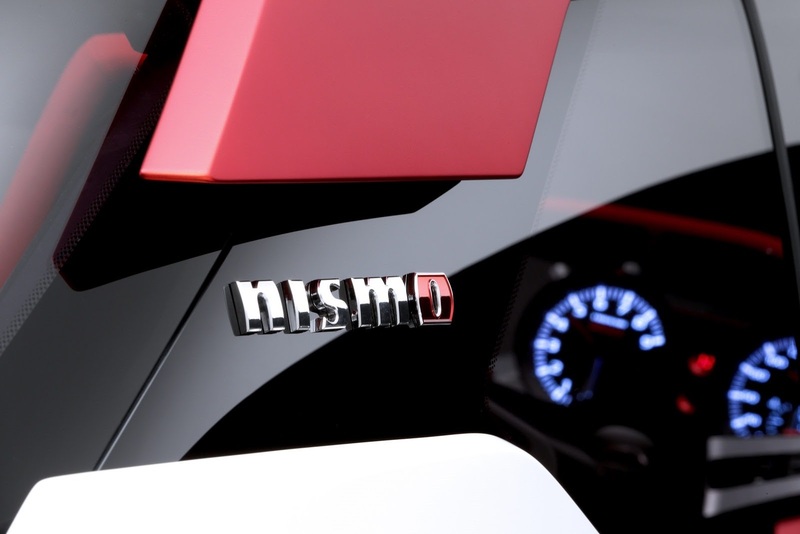 Το IDx Nismo από την άλλη, είναι πλατύτερο κατά 10 περίπου εκατοστά και διαθέτει εξωτερικό σχεδιασμό εμπνευσμένο από τους αγώνες. Πρησμένα φτερά, πλαϊνές εξατμίσεις, αεροτομή, αεραγωγούς και 19άρες ζάντες ελαφρού κράματος. 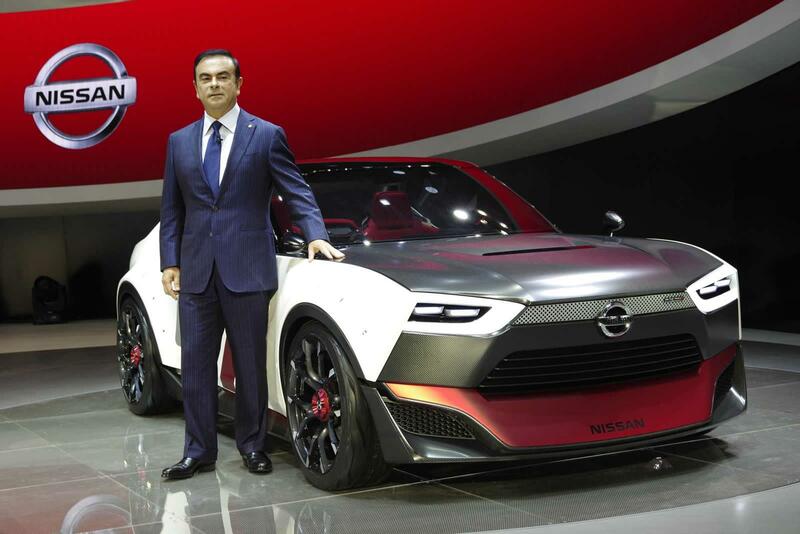 Όσον αφορά τον κινητήρα, η Nissan λέει πως «για να ικανοποιήσουμε τις προσδοκίες για ένα powertrain ικανό να κινεί ένα τόσο τρομερό αυτοκίνητο, μία πρόταση των μηχανικών ήταν ένας κινητήρας υψηλών επιδόσεων αλλά φιλικός στο περιβάλλον, 1.6 λίτρων με άμεσο ψεκασμό και turbo που θα συνδυάζεται με sport CVT κιβώτιο με χειροκίνητη λειτουργία». Δεν ξέρω τι λες εσύ αλλά εγώ λέω φόρεσέ του ένα ταμπελάκι για 20.000-28.000€ και βγάλτο στην παραγωγή εχθές! 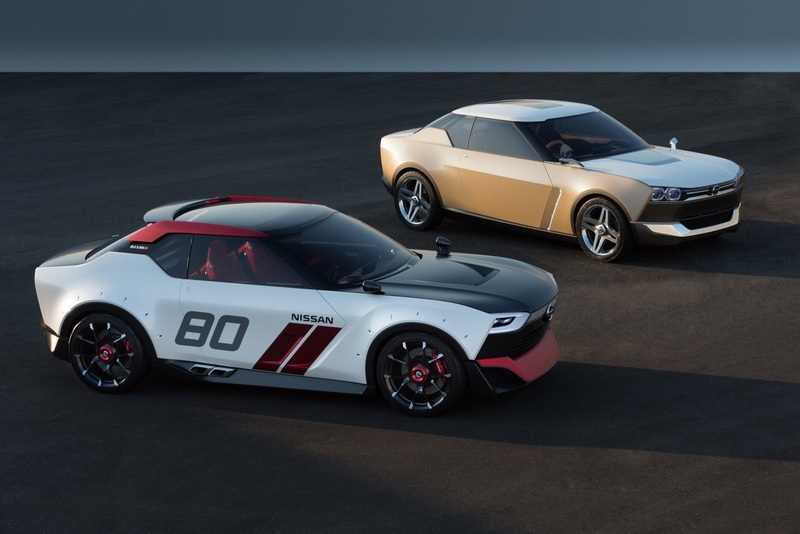 Today Nissan unveiled a pair of concept cars with radically different characteristics, created by a new approach to product development, that together offer a new take on authenticity. 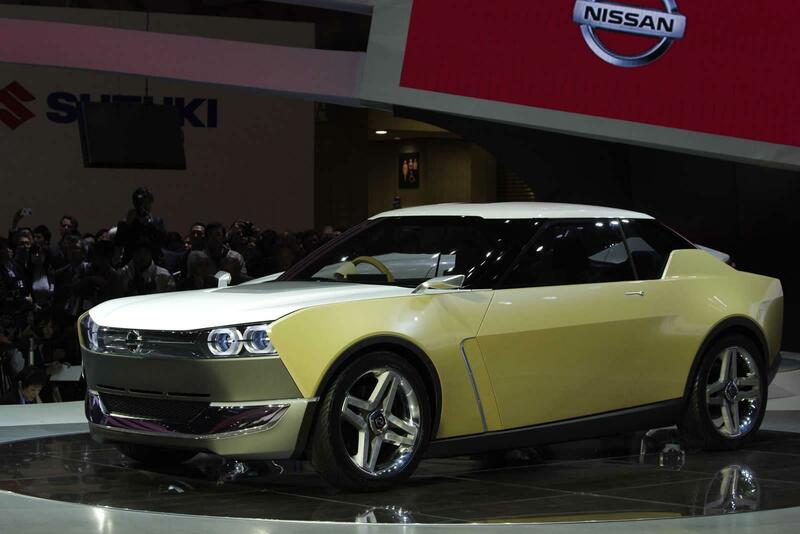 The IDx concepts on the Nissan stand at the 2013 Tokyo Motor Show are case studies. 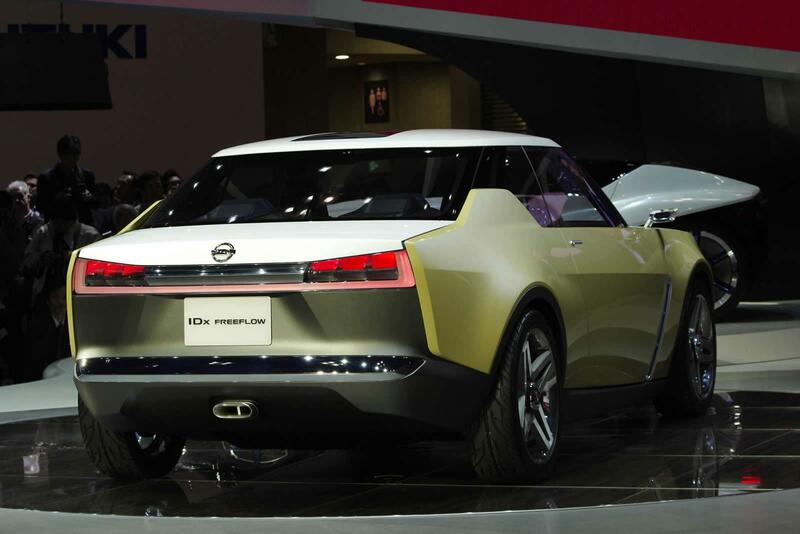 The first is a casual/lifestyle-focused vision, the IDx Freeflow. 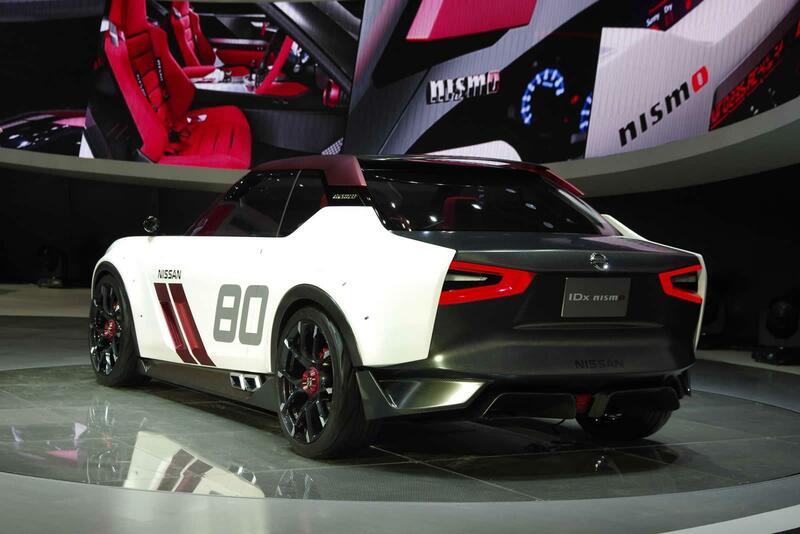 The second is IDx NISMO, an ultra-sporty model of the future that looks as if it came directly from a driving simulator. 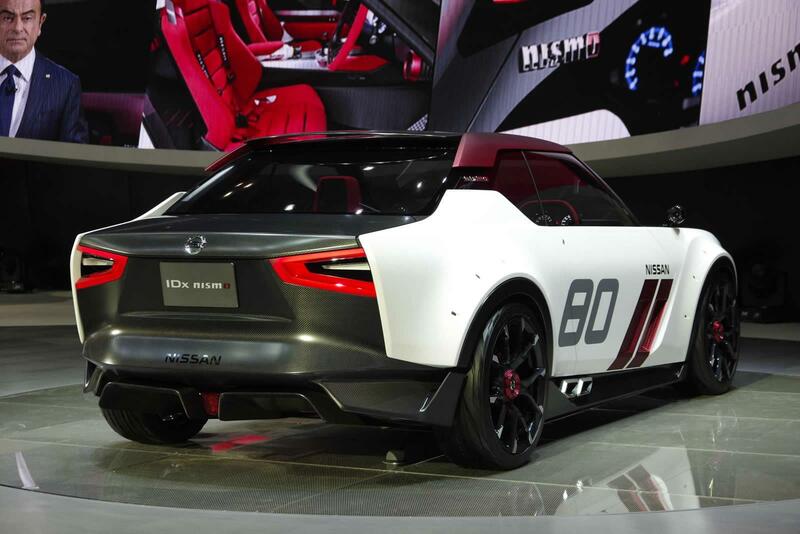 IDx NISMO and IDx Freeflow show how Nissan is using a new and innovative product development methods to meet the needs of younger customers who have novel, exciting ideas, and engage with them to build the cars they want. 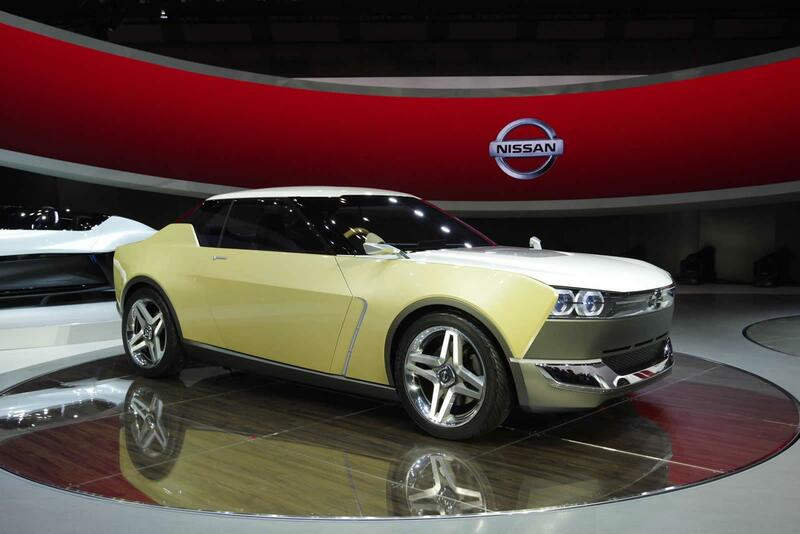 The co-creation product development approach requires input from consumers. 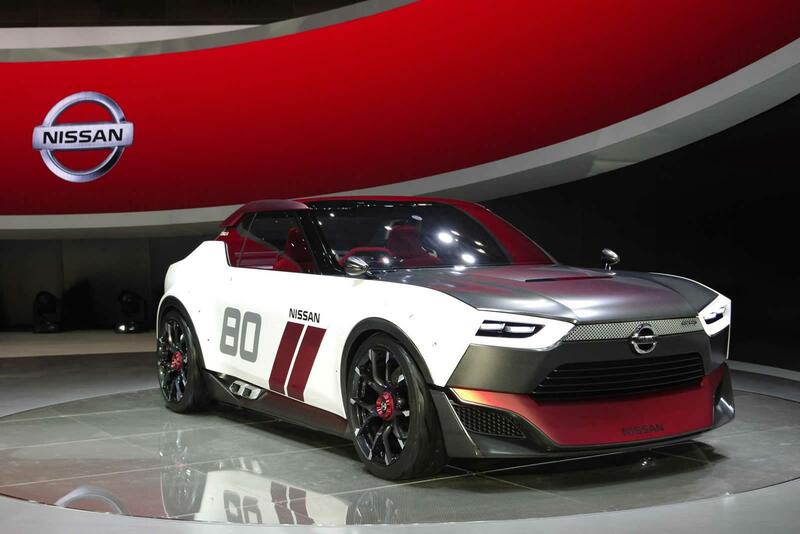 It was designed to appeal to “digital natives,” the generation born after 1990, and integrates their feedback into the creation process. 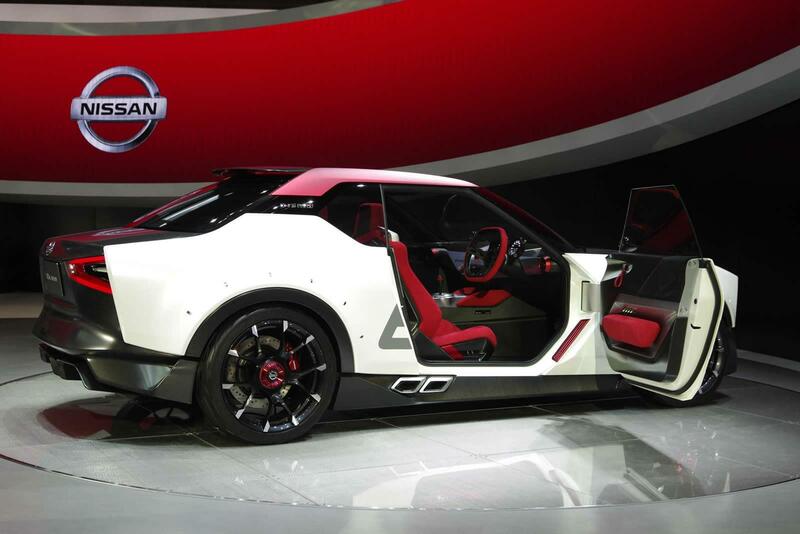 Nissan thinks this approach could have real applications in the near future. 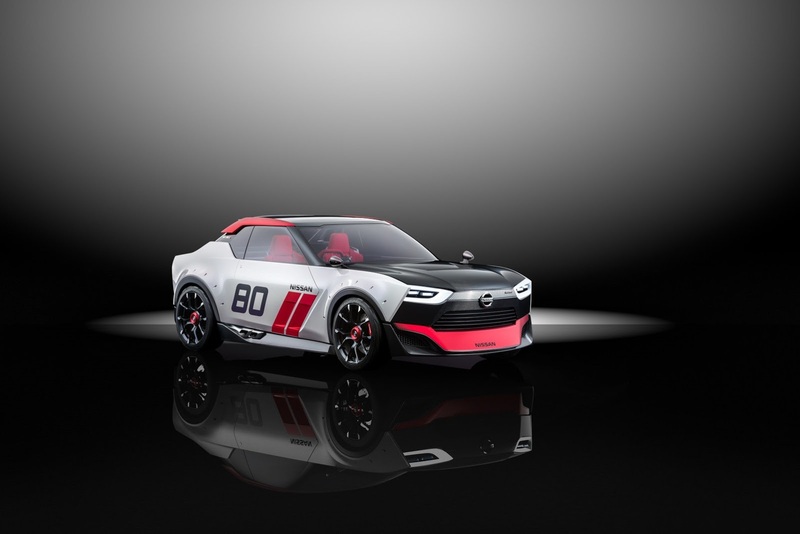 This co-creation activity led to the development of the two IDx concepts cars, each with their own unique identity, yet aligning with the values and preferences and desire for authenticity, of the mainly digital native collaborative community that helped create them. 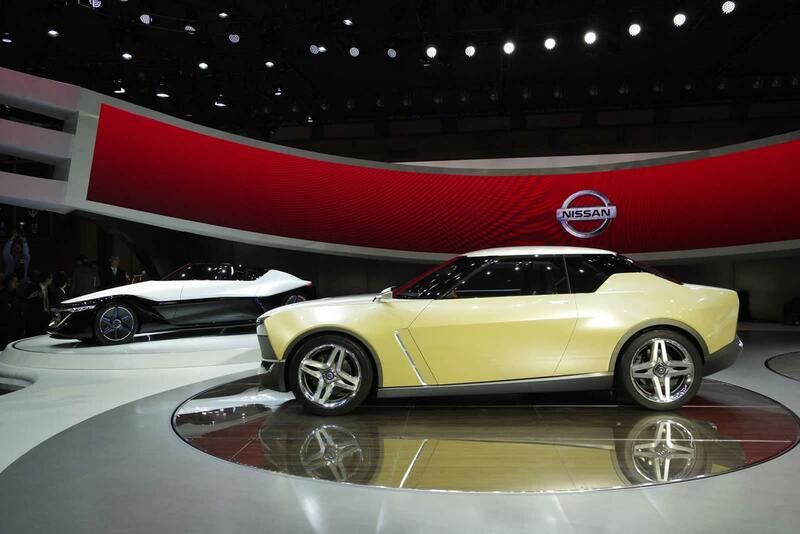 IDx: A fresh start Co-creation defines a new relationship between Nissan and its customers. 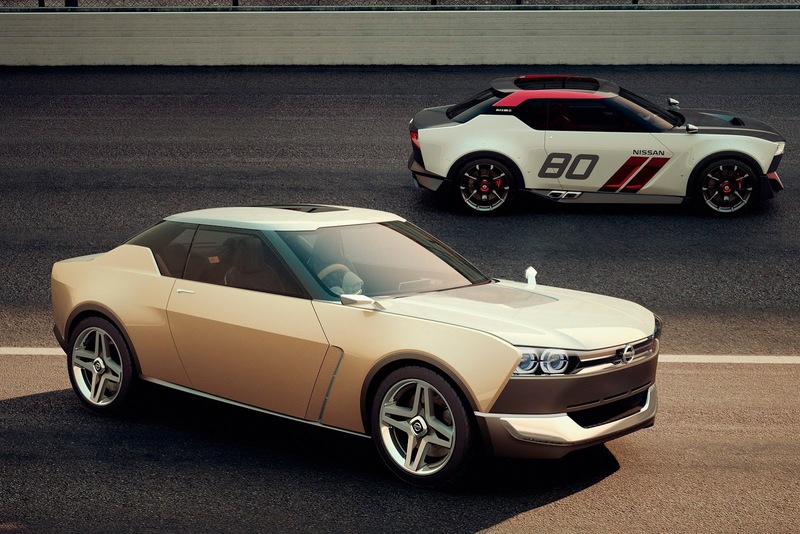 The prefix Nissan gave to the two new concepts, “IDx,” reflects those ideals. 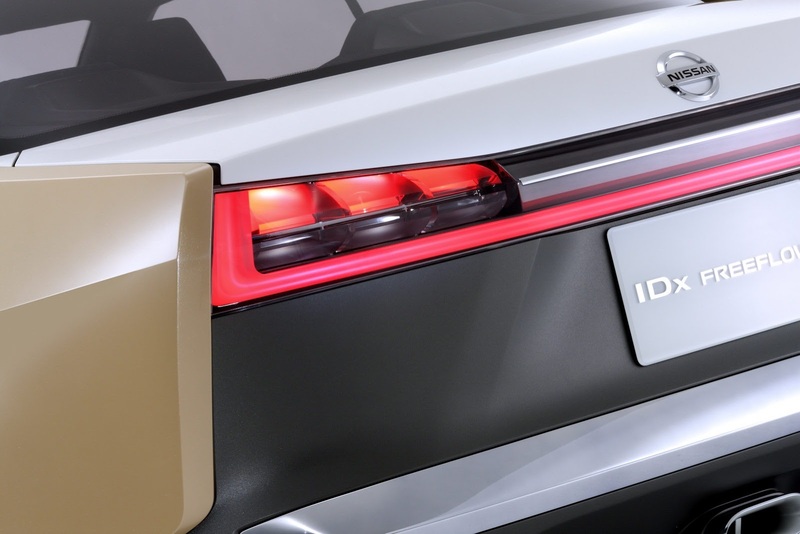 “ID” is the acronym taken from “identification”, relating to the things all individuals relate to on a personal level in a car, and the “x,” which is the variable representing the new values and dreams born through communication. Engaging with members of the digital native generation created an opportunity to learn a slew of new insights and creative possibilities. 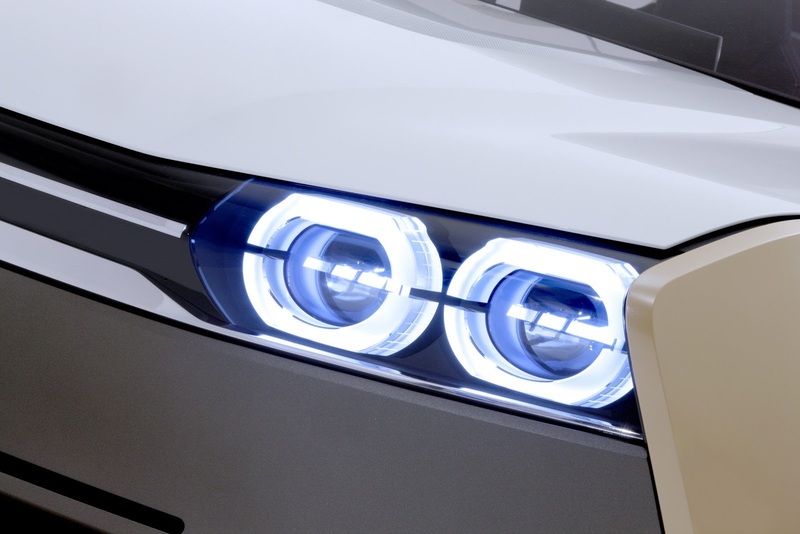 The co-creation dialogue reached far and wide, from the basic framework of cars to the last details and finishing touches. 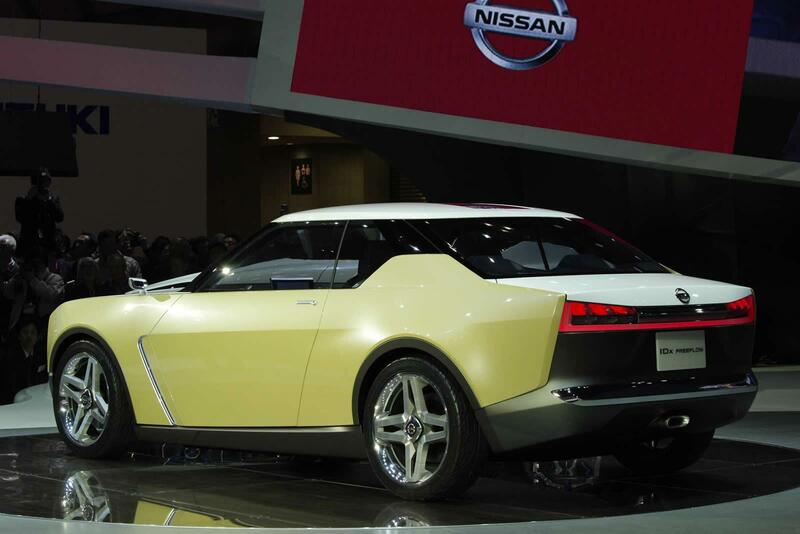 The final versions of the two concept cars were born from the engagement with separate co-creation communities. 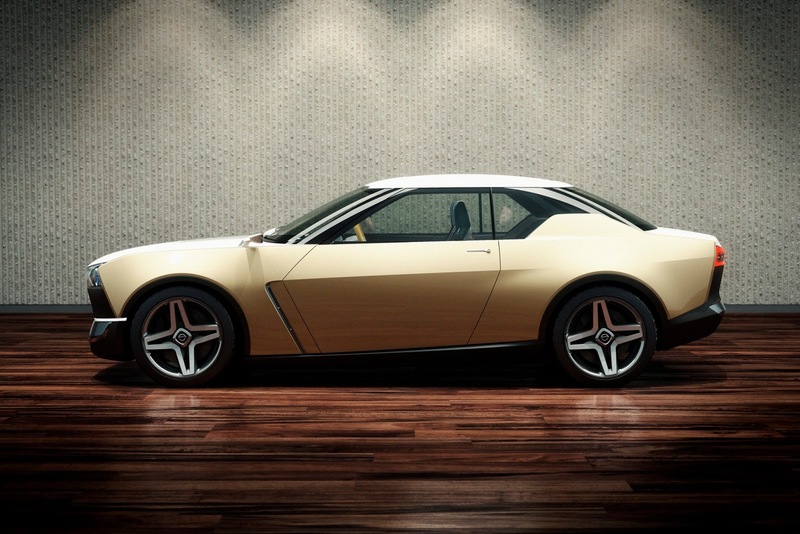 Each one has its own strong character and leaves a vastly different impression. 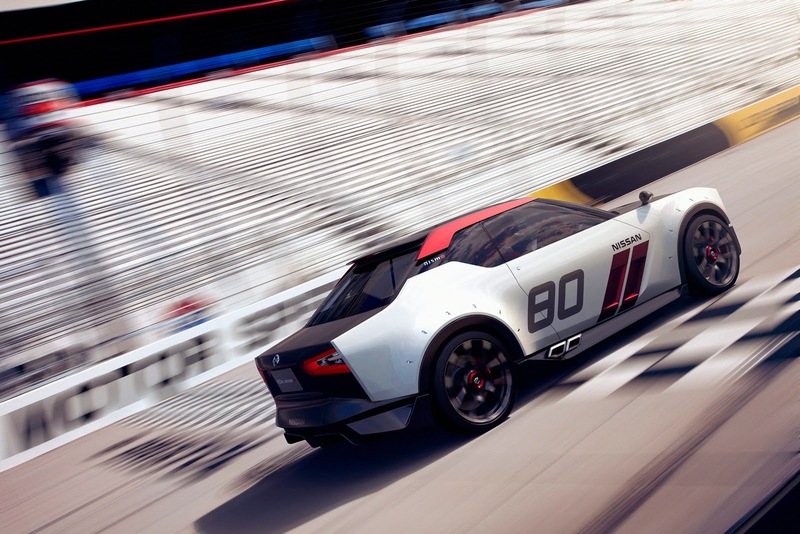 The design of the two IDx concepts incorporates digital natives’ direct expression of the ideal form of ultimate simplicity in a compact sedan. It was as if they were given a clean, white canvas to freely conceptualize anything that was intriguing. 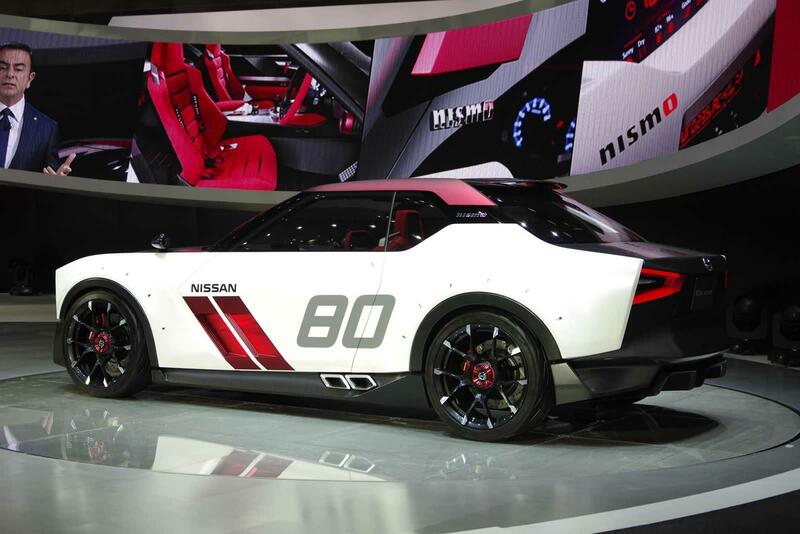 What Nissan derived from this communication was their desire for a basic, authentic configuration for a car. 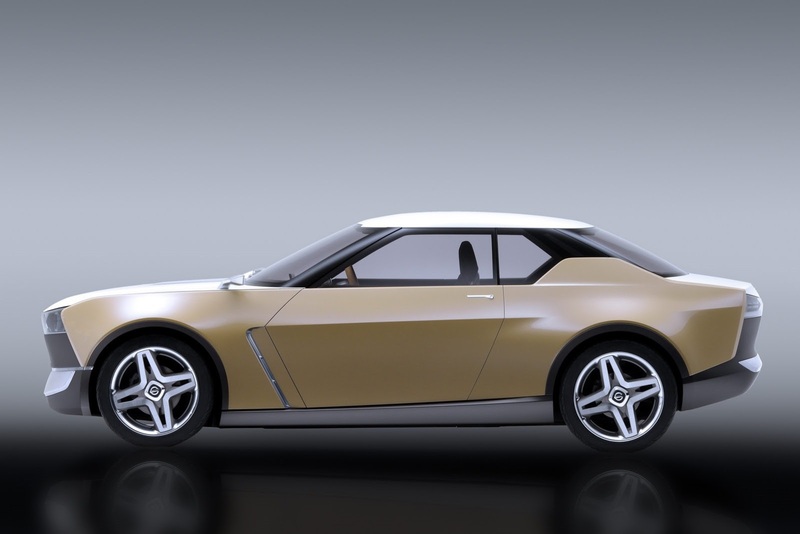 A car without legacy influences, based on the ideal proportions and straight stance of a simple three-box shaped car design. 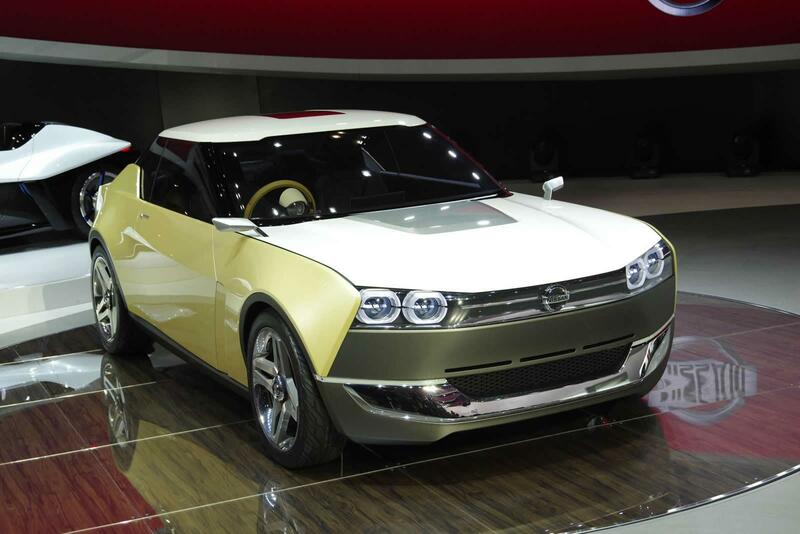 Thus, the IDx concepts share the same three-box genesis, i.e. 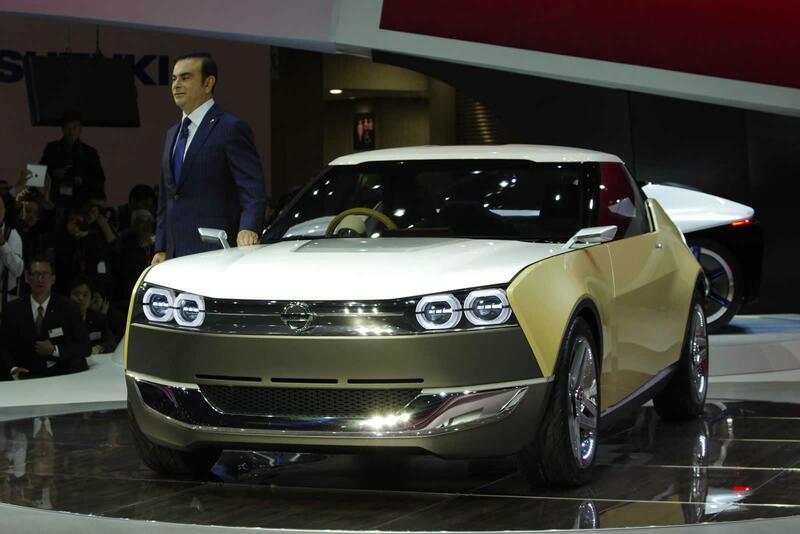 vehicles made up of three compartments—engine, passenger and cargo areas. 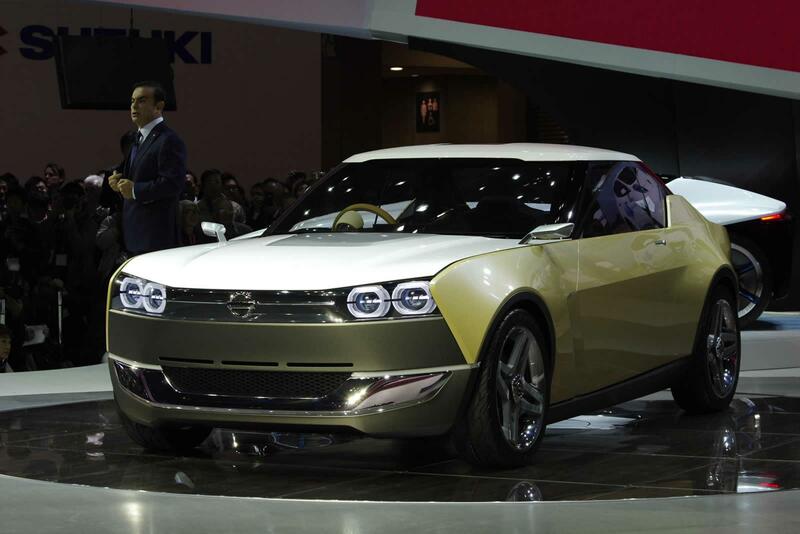 Several unique approaches were made from a structural standpoint so the IDx concepts could take on various appearances. 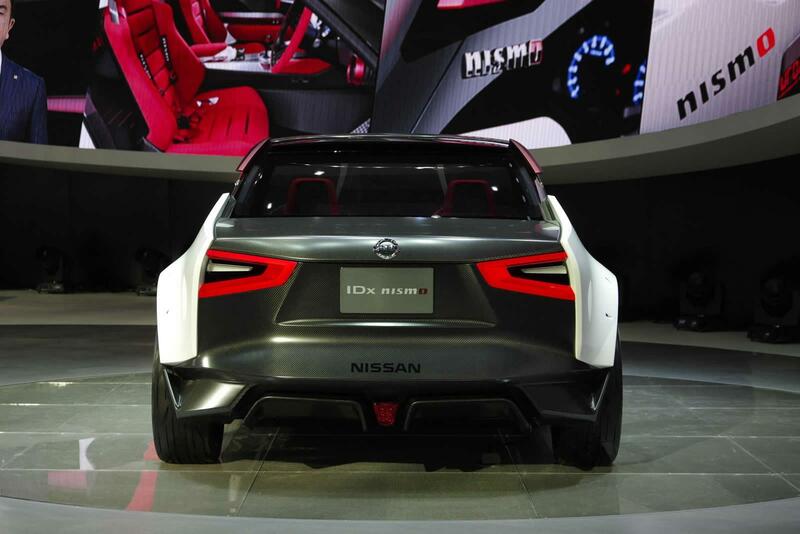 For example, the front/rear fenders and side structure, such as the door panels, seem to sandwich the cabin to focus attention on the center of the vehicle. 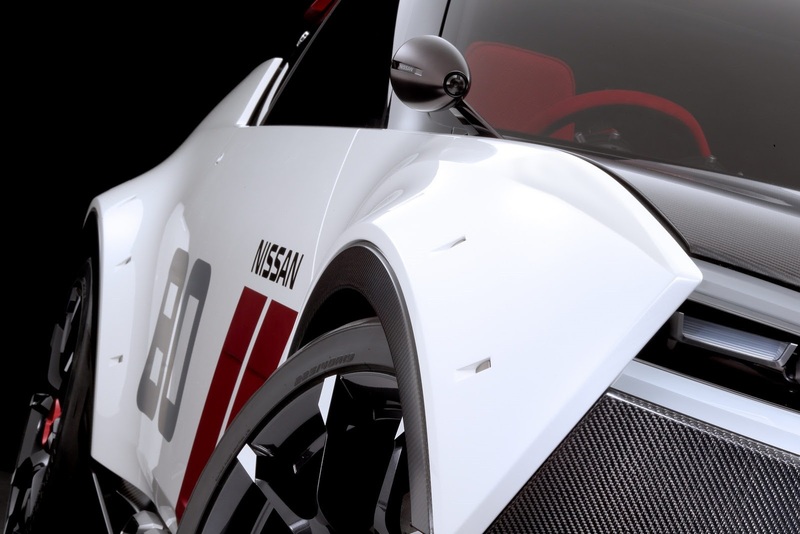 This structure allows the car to differentiate itself from others through the side and front face, with vast freedom for customization. 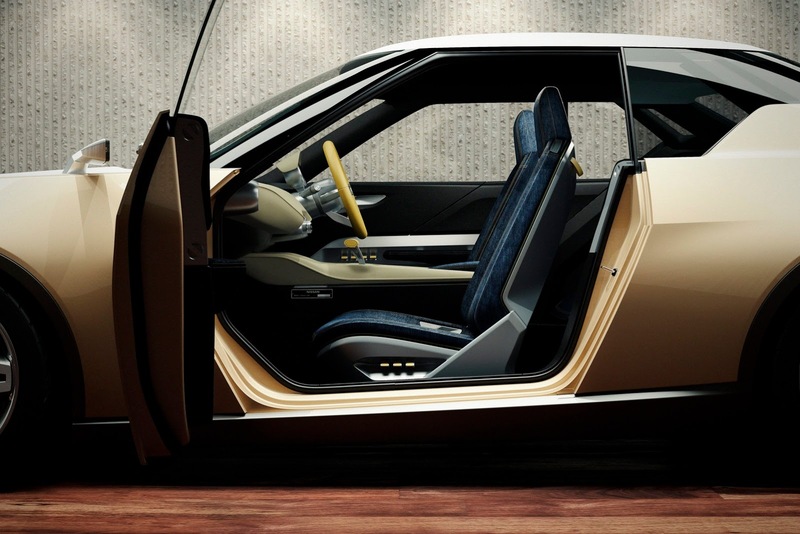 The parting lines (panel partitions) clearly separate the sides and top, and enhance visual clarity while creating a unique and crisp boxed form. 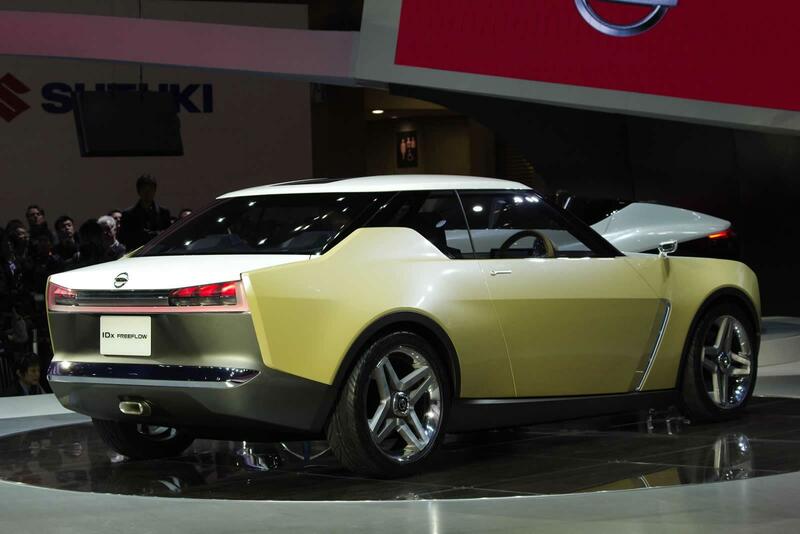 Additionally, viewed from the front and rear, the car retains its compact lines while maintaining low and wide body proportions, thereby instilling a sense of it being a “real” car. 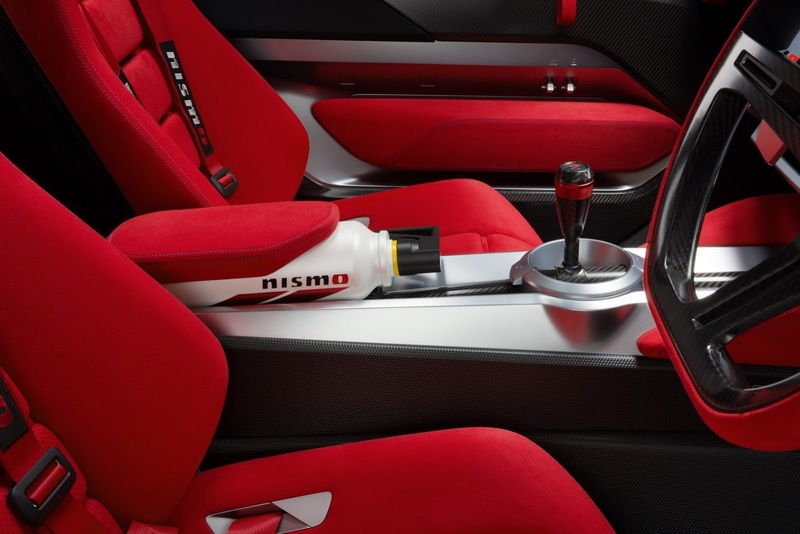 Both the interior and exterior share the aim of a simple design, with just the right amount of functions and accessories that are standard on cars to provide a solid sense of build reliability. 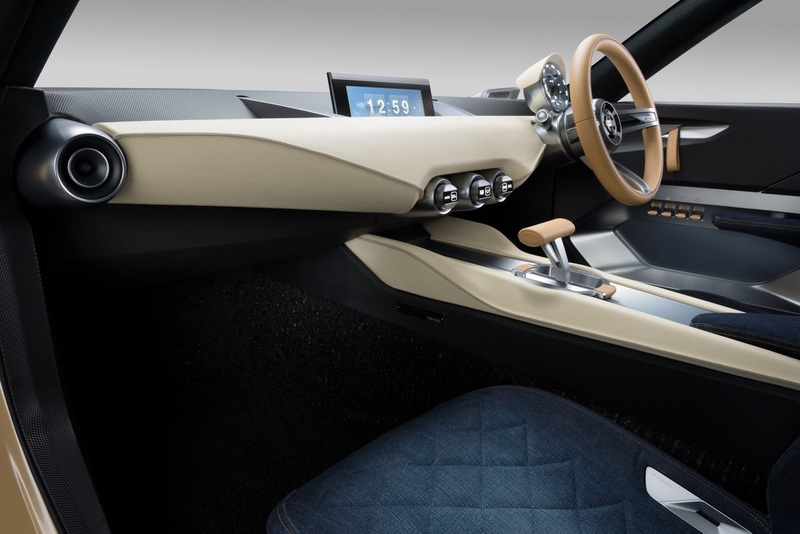 In order to have enough flexibility consistent with the creativity inherent to the IDx approach some areas of the interior incorporate a dual-layered “tight-fit skin.” For example, the dashboard is simple yet refined, created by employing cast molding in parts in the body structure and on the ventilation ducts. 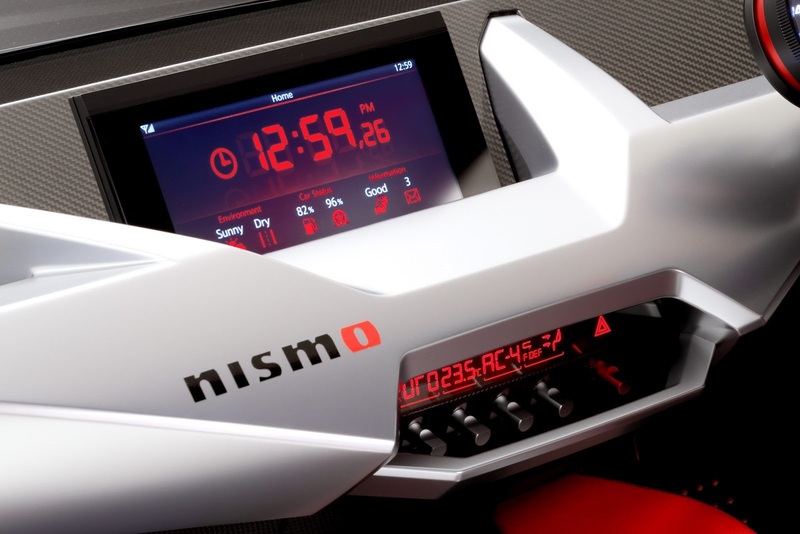 By combining this with sparingly-used, close-fitting trim, the dashboard can be a foundation for various expressions and functions. 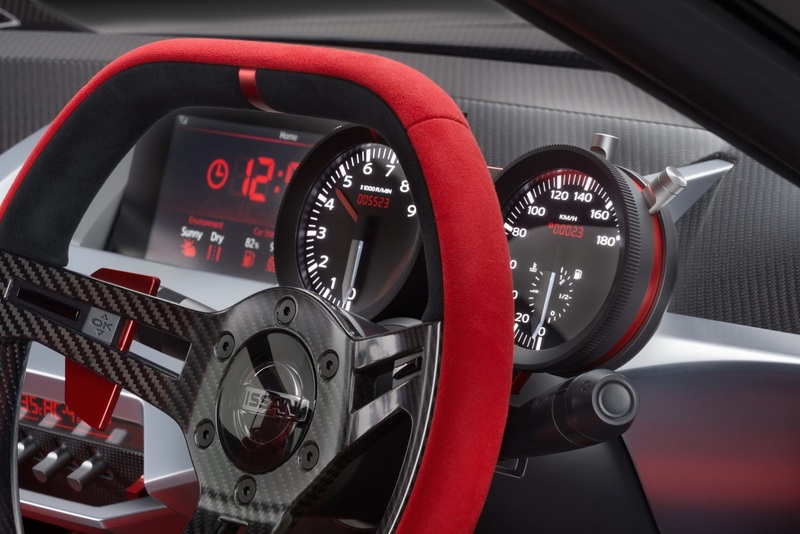 Similarly, the gauges, center consoles, and floor consoles were crafted to enable any necessary parts to be installed in an easy and seamless way. 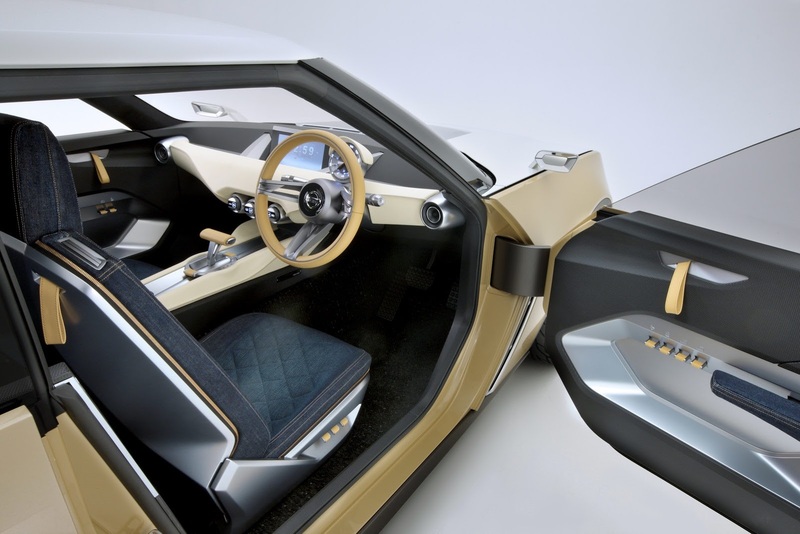 The IDx concepts’ interiors are ultimately the expression of digital natives’ values in a flexible form that is malleable enough to project an exquisite structure while rendering a unique space inside. 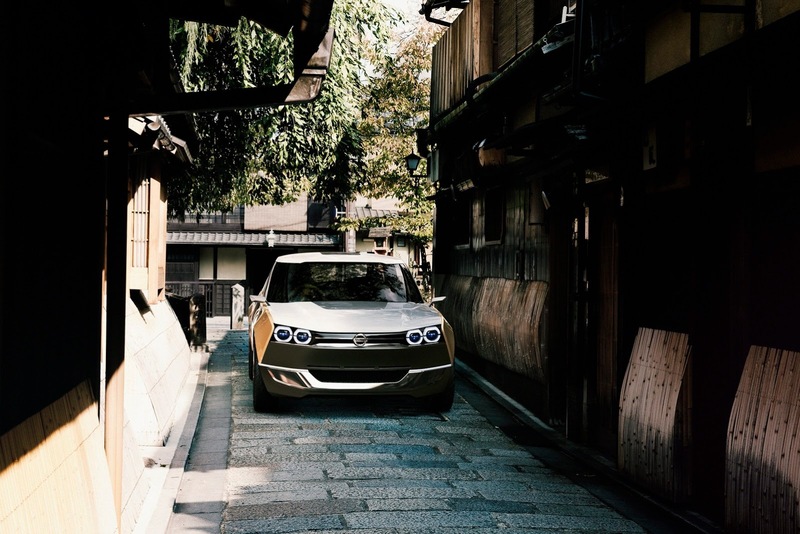 IDx Freeflow The IDx Freeflow reflects the sensibilities of its co-creators; the outlook of people who seek natural and tasteful things in every aspect of their daily lives. They sought to employ a simple and clean attitude, using the authentic items that they favor to artfully combine various things and give substance to their self-expression. 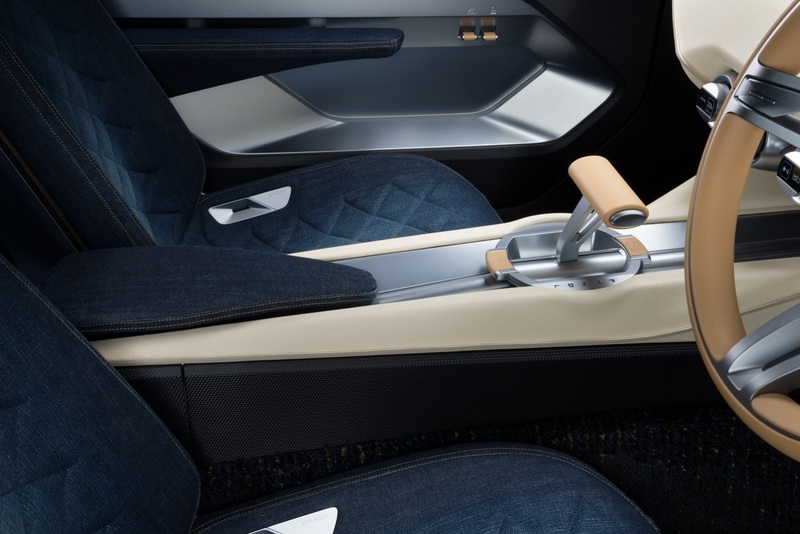 The interior details of this four-passenger concept car are a carefully selected mix of fashionable functionality and comfort in a design brimming with creative originality. 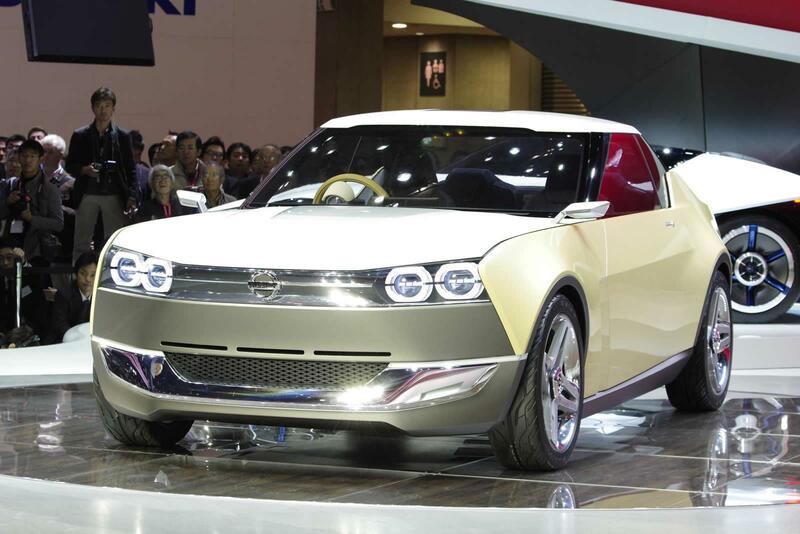 It is meant to feel like a living room inside a car where the owner and his or her friends can relax. 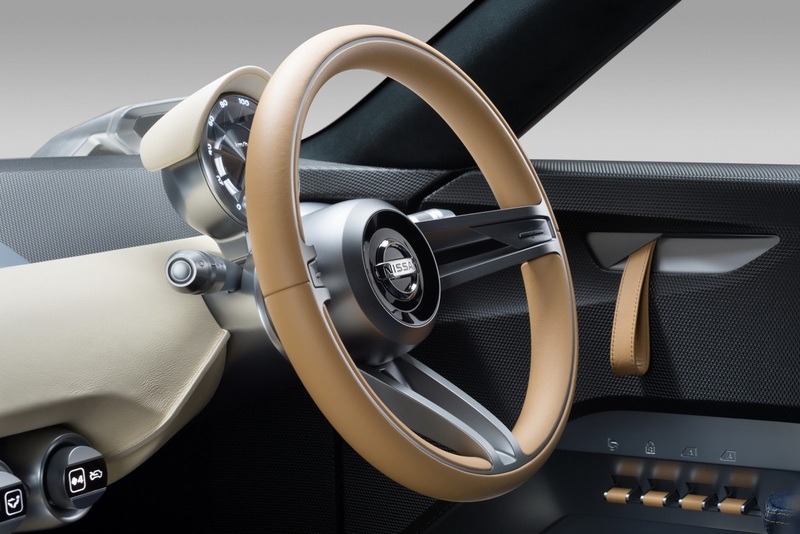 The round, no-nonsense steering wheel, attached to the level dashboard, mounts a modern-looking speedometer that would not seem out of place in a younger person’s lounge. 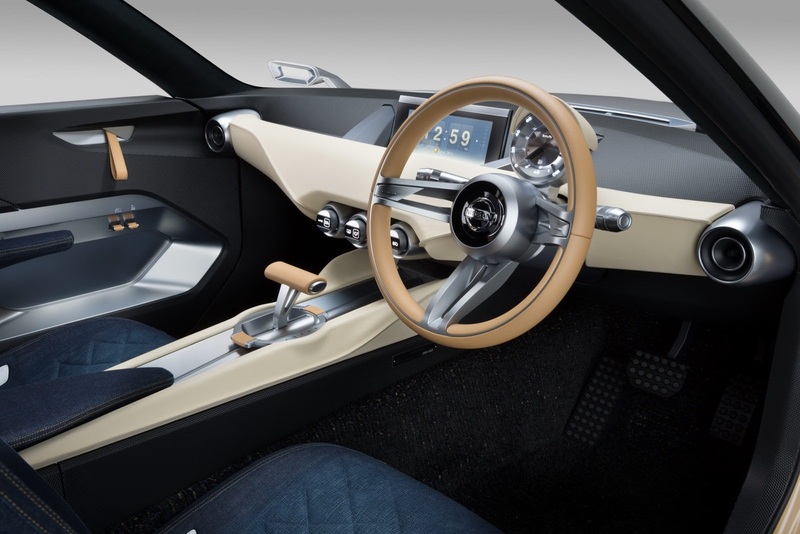 Together with an analog clock, prominently located above the centered function monitors, the cumulative effect is an interior that feels heavily influenced by the wish for a cozy, relaxing space. 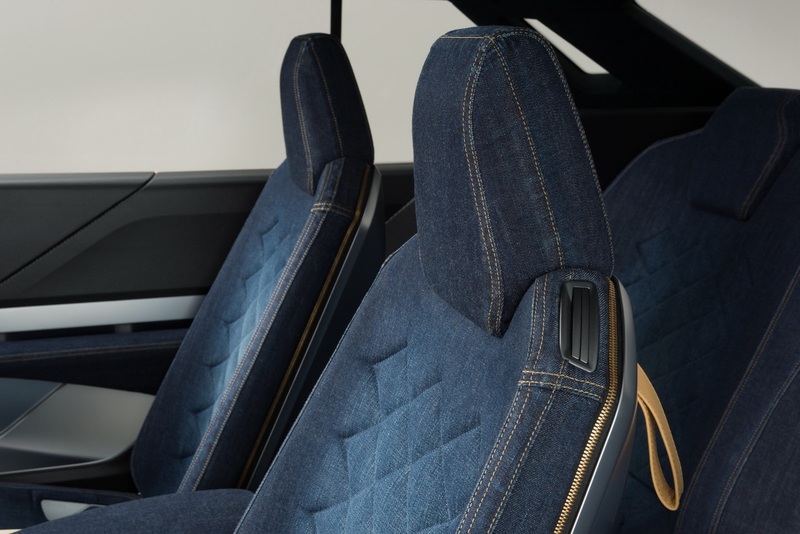 Additionally, the coordination of finished metals with the thick surfacing material on the dashboard and console, combined with the denim selected to cover the seats and certain trim areas, produces sections that dazzle the eye but are balanced by more calming hues in other spots. 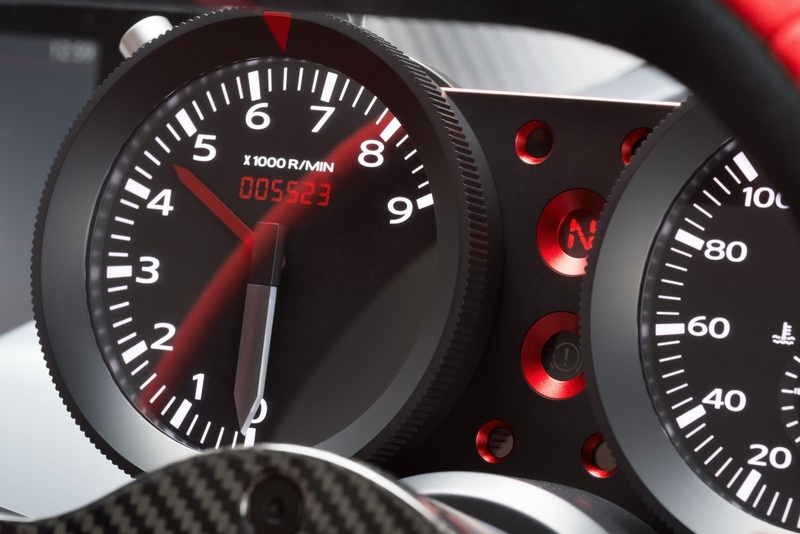 This is the unique quality of the co-creators’ taste as expressed in the cabin appointments. 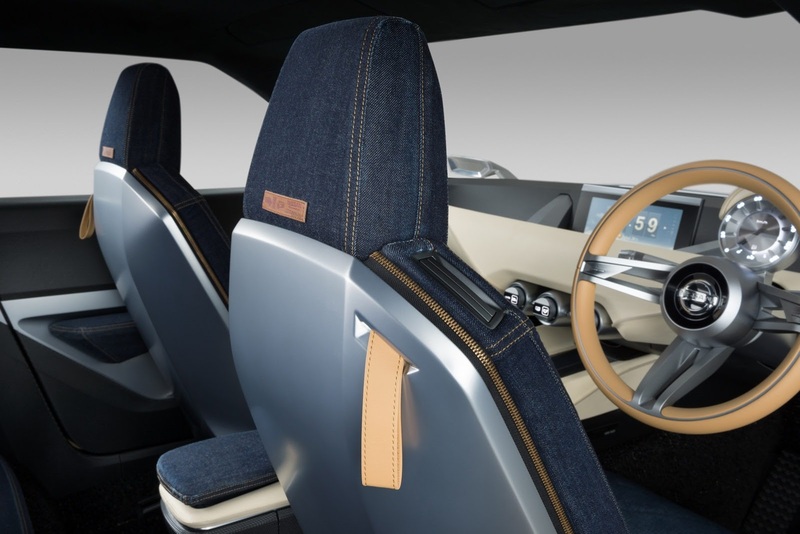 In particular, the moderately faded texture and color of the denim used in the interior conveys a new kind of quality, a back-to-basics charm seldom seen in cars until now. 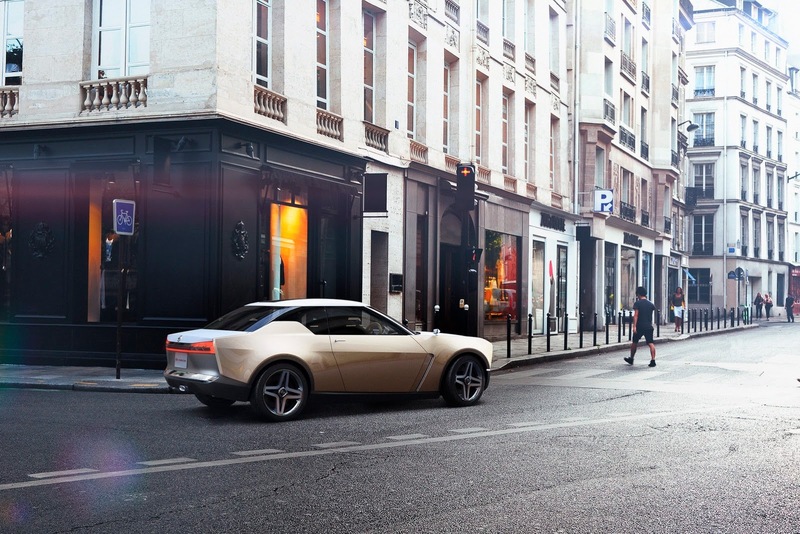 Though compact in size – about 4.1 meters in length, 1.7 meters in width, and 1.3 meters in overall height – the IDx Freeflow impresses with its daring yet dignified exterior. 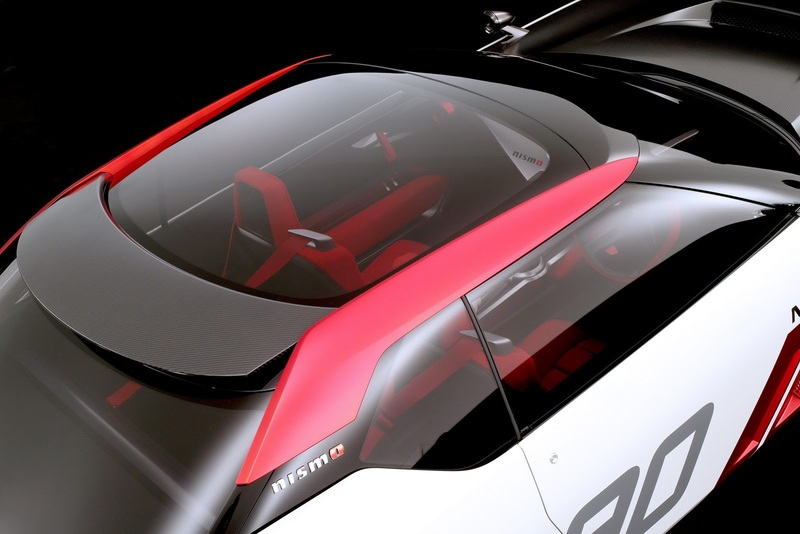 The car’s “floating roof”, a seamless rounded roof shape, is another design twist that accentuates the simple box form of the body. 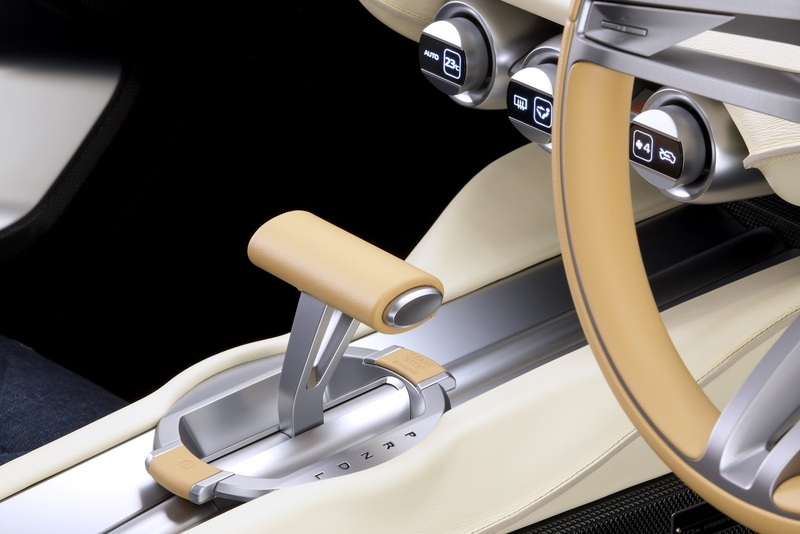 The exterior color is a sophisticated combination of white and flax (a light brown shade), invoking a casual feeling like that produced by the pairing of the venerable white T-shirt with khaki chinos, and highlighted with silver accessories or a belt. 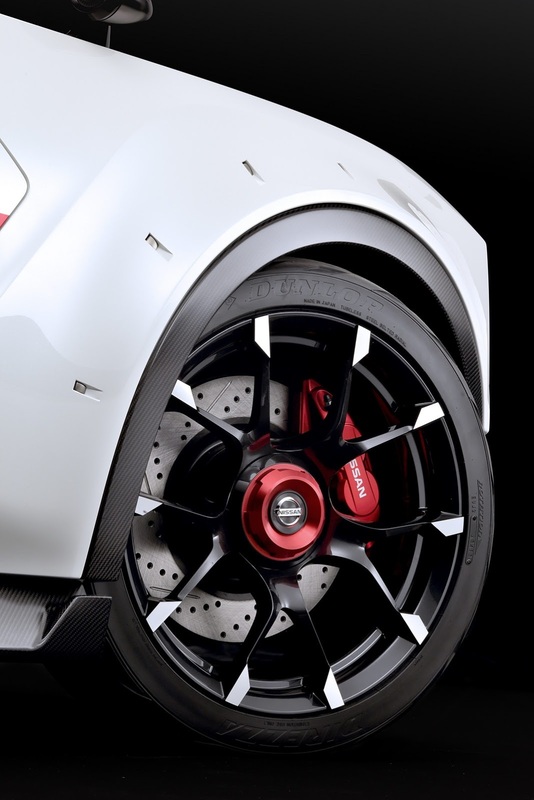 The overall visual effect is completed by the addition of stylish 18-inch chrome wheels. 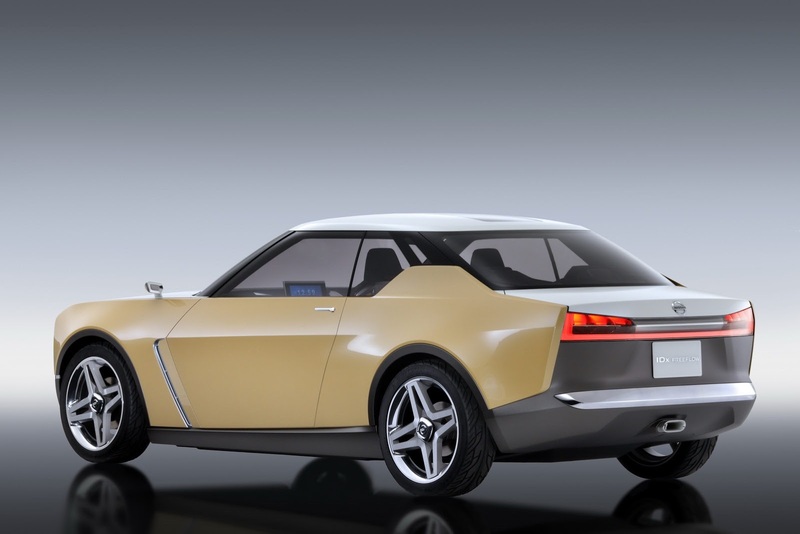 The digital native cohort’s quest for authenticity can also be interpreted as a demand for economy and efficiency in their everyday car. 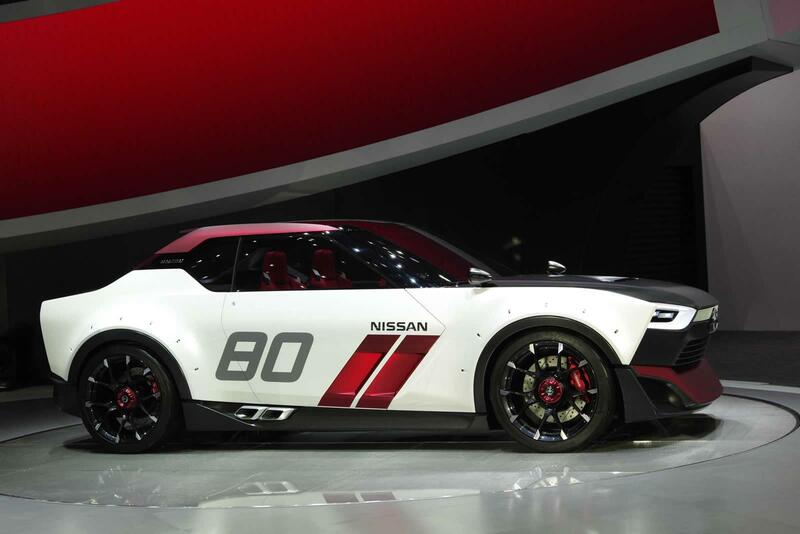 For this kind of vehicle, the requisite high level of fuel economy and driving performance could come from a powertrain with a 1.2-to-1.5L gasoline engine mated to a continuously variable transmission (CVT). 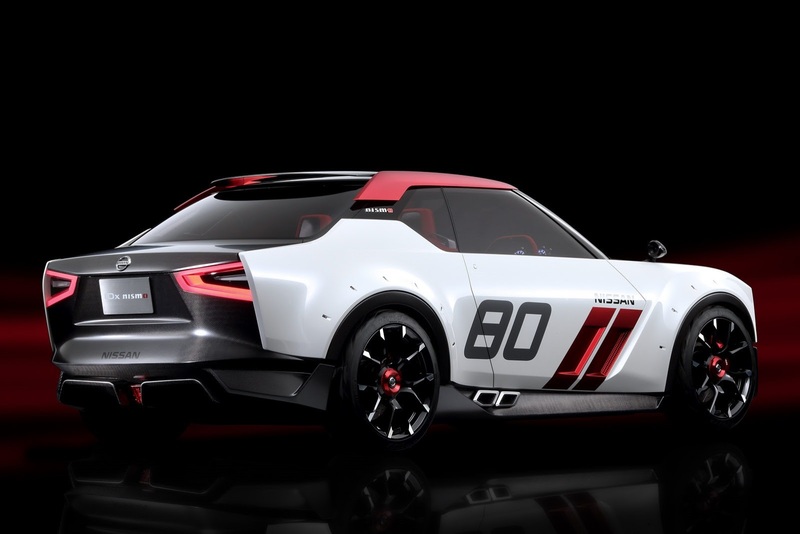 IDx NISMO Many of the group of co-creators who were involved with IDx NISMO are people who grew up playing racing simulation games that feature cars of the past and from all corners of the globe. 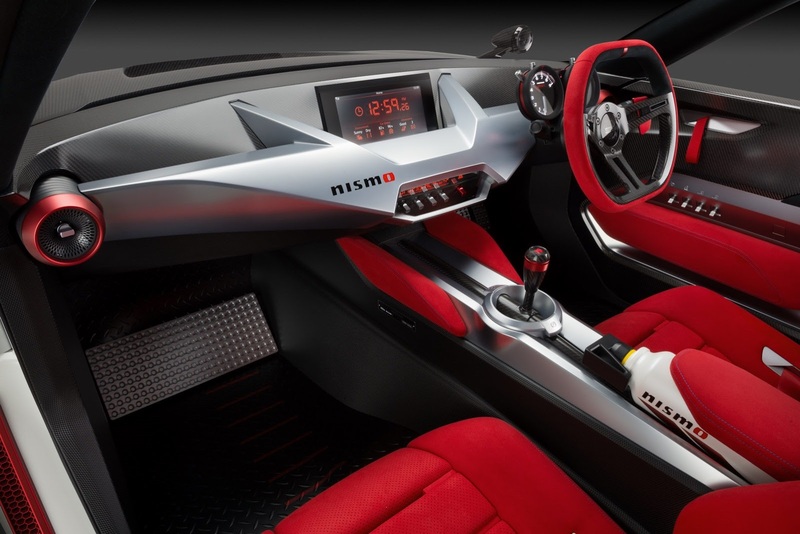 They had a natural desire to realize that virtual driving experience in a real car of their own. 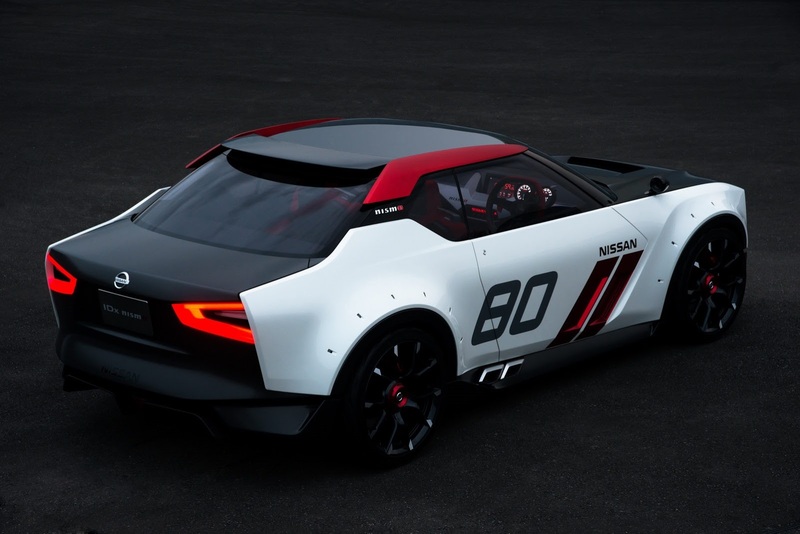 The IDx NISMO’s co-creation dialogue took the distilled heritage of Nissan’s basic box-shaped racing vehicles of the past and married it with various intriguing new details. 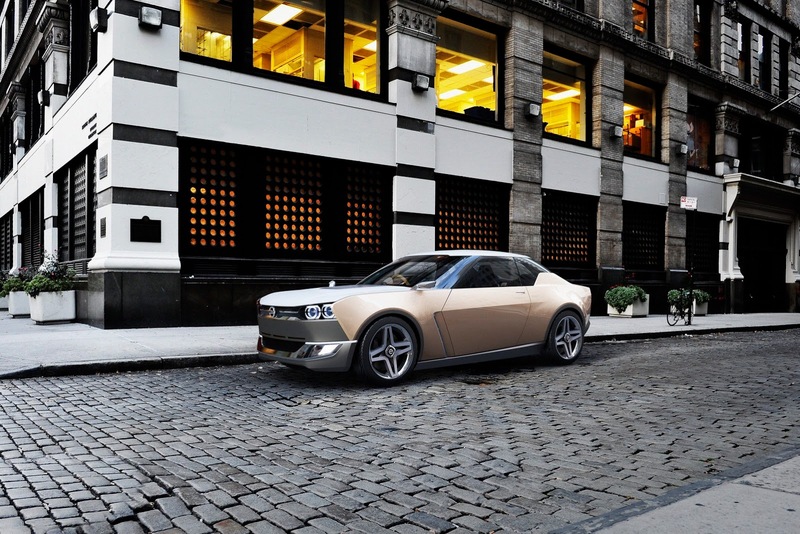 This resulted in a car that appears to be timeless and moored in a place all its own. 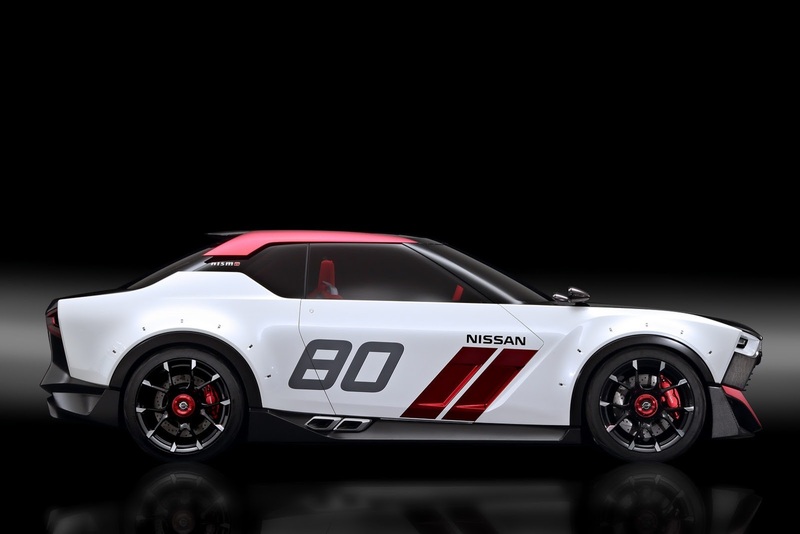 To meet the high expectations for a powertrain equal to the task of propelling such a formidable car, one proposal from Nissan’s engineers is the combination of a high-performance, eco-friendly 1.6L direct-injection turbocharged engine together with a sporty CVT with 6-speed manual shift mode and synchronized rev control. 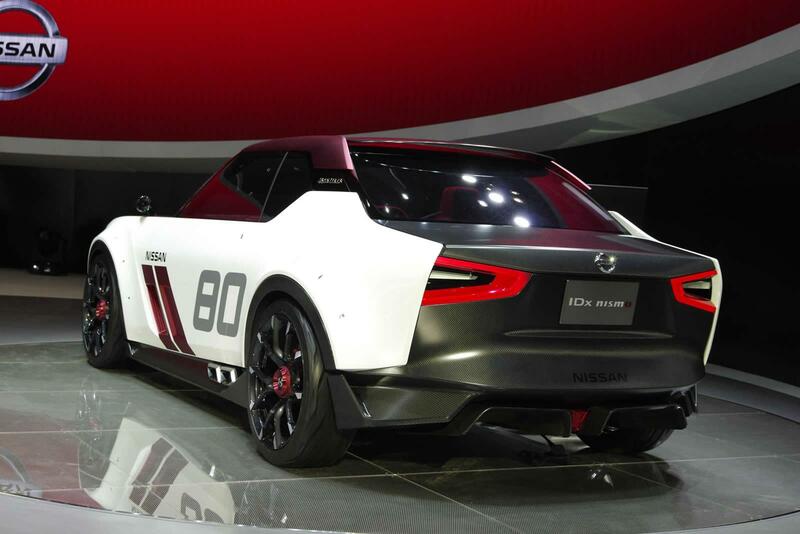 The result is no less than an appealing mix of racing heritage with the finest of modern know-how. 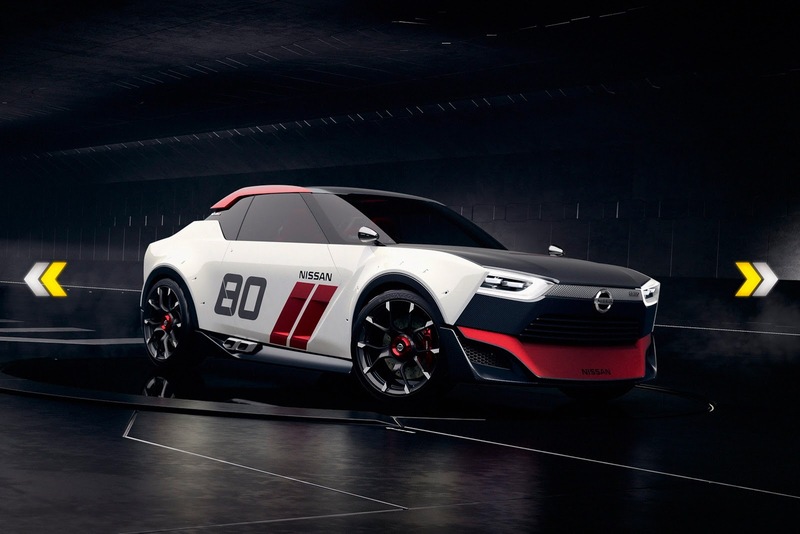 This machine’s soul-stirring design echoes the racing car imagery of the past united with the buzz digital natives get from the virtual world they know well. 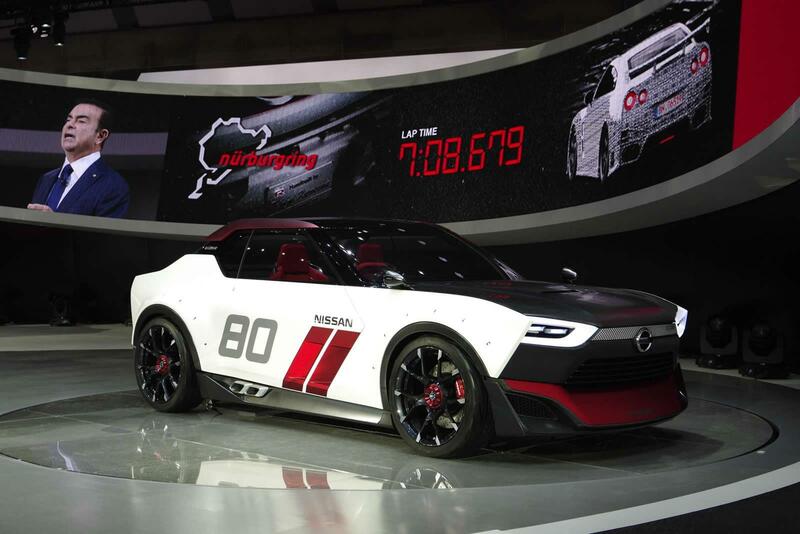 That this car could result from co-creation dialogue alone exemplifies Nissan’s fresh approach to contemplating car design, and even kindles a fire in the hearts of people fond of the good old days of high-performance cars. 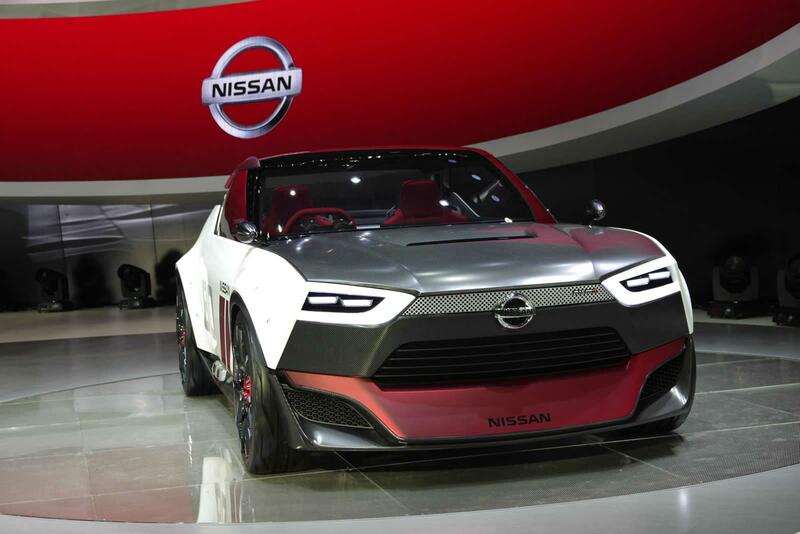 One solution lay in the promise of creating attractive new products by proactively interacting with next-generation customers. 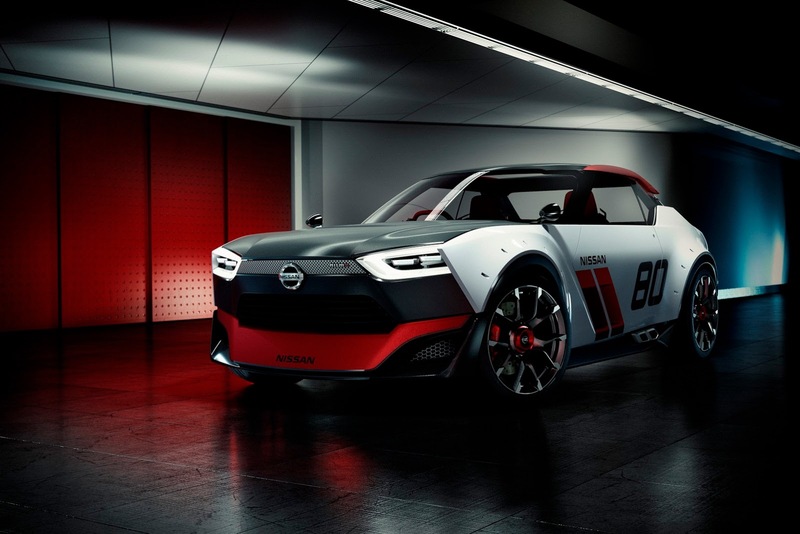 In turn, this led to a new development framework in which Nissan could engage with young digital natives in building a new kind of relationship—a new, progressive way of making cars. 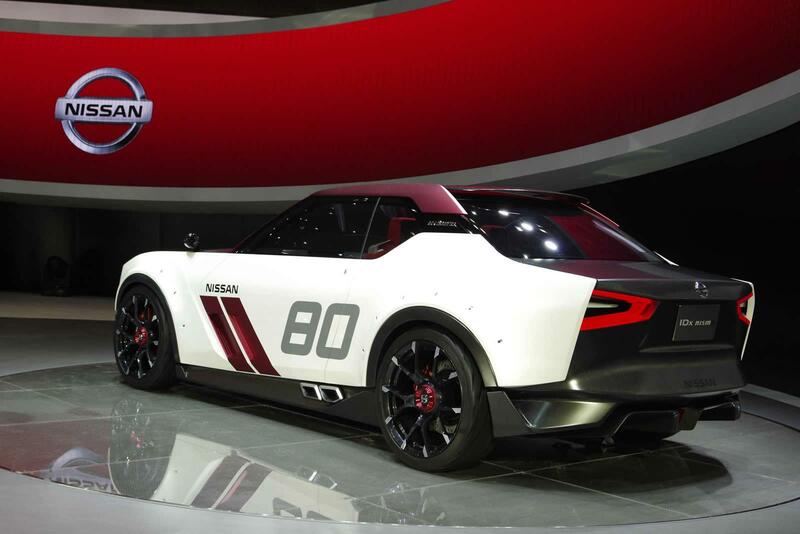 A New Take on Nissan’s “Innovation & Excitement for Everyone” The bywords of the Nissan brand are innovation and excitement. 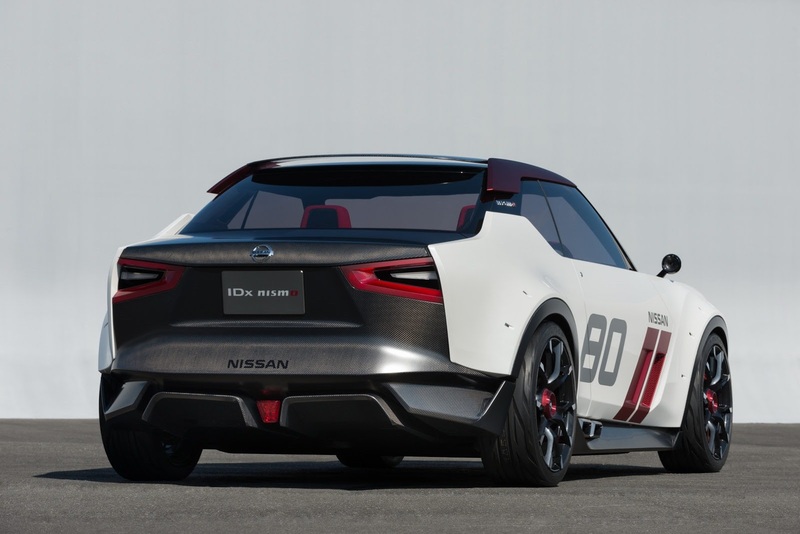 Conventionally interpreted, this suggests that Nissan’s innovations spark excitement by delivering, for example, responsive acceleration and tight handling. But excitement can also fuel innovation, particularly when it is the excitement of working with like-minded people on topics you care passionately about. For digital natives — those born after 1990 – touchscreens and social connectivity are taken for granted. 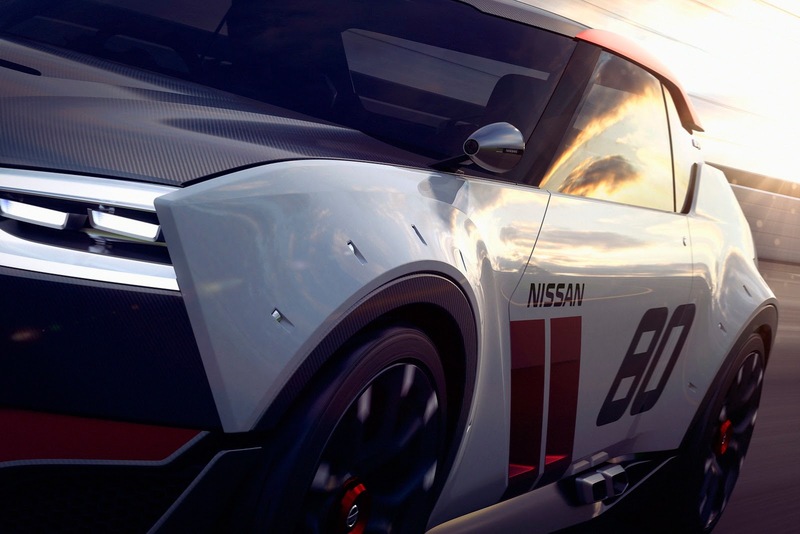 Not satisfied with the passive consumer role, they want to be part of the story. In user communities they share information and take an active part in finding creative solutions. Modifying electronic devices or using IT to communicate and interact with others is exciting and emotionally rewarding for them. It makes their interests even more rewarding for them personally, much as it did with previous generations and their own contemporary technologies. 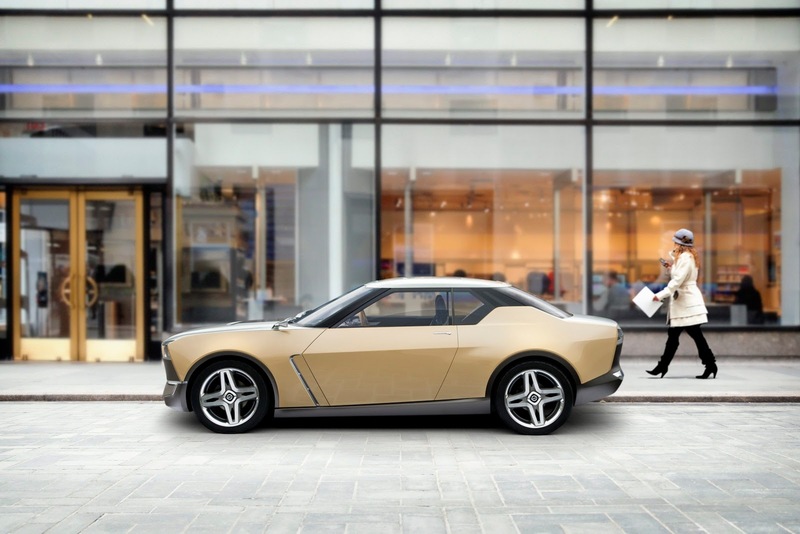 This insight pointed the way forward: Nissan could appeal to digital natives by delivering on the promise of “Innovation and Excitement for Everyone” in a whole new way. 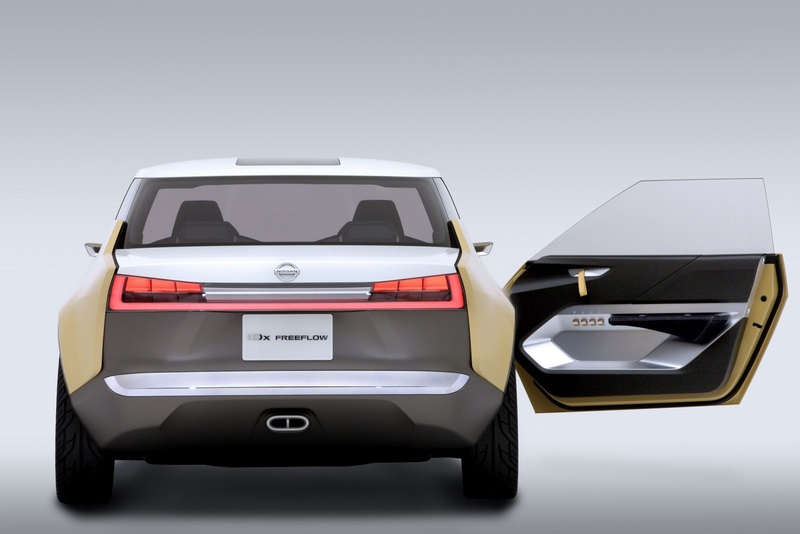 To offer a new take on the product development process, Nissan offered a space for digital natives to participate in product creation. 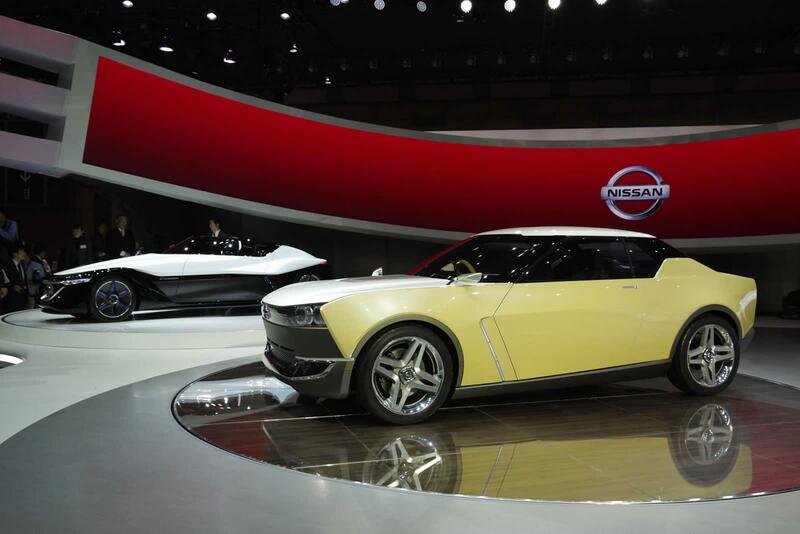 Their desire to change things and create new value could be activated not just in the technology sphere but in making cars. 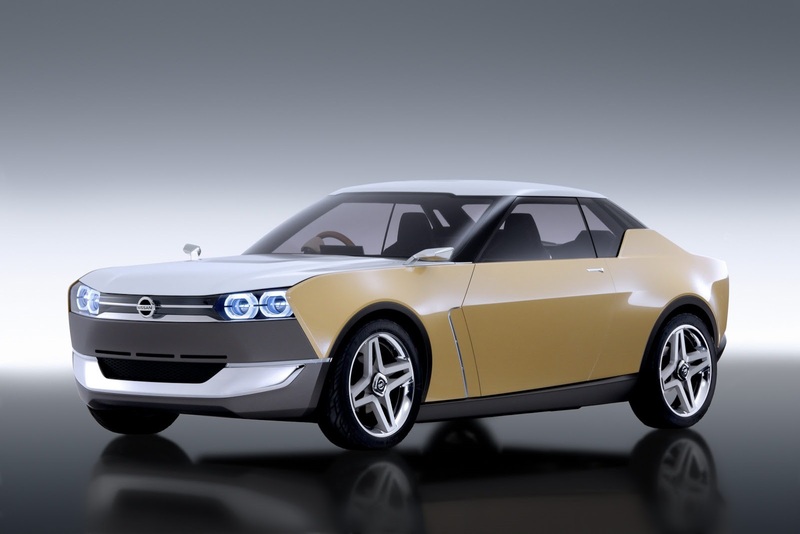 The way forward was find a way to involve them in the monozukuri story of making things and exposing them to fun and innovative ways of imagining cars. 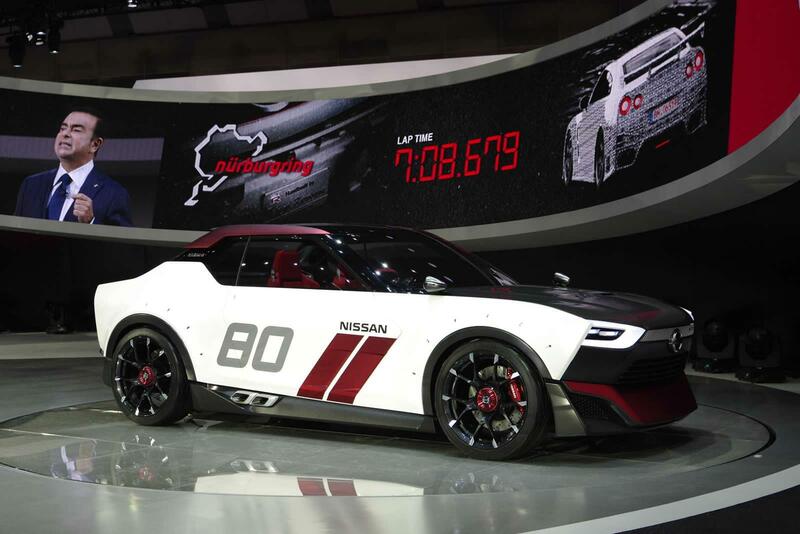 The Time is Right for a New Approach Visitors to a motor show expect to see cars—provocative concepts, groundbreaking prototypes and bewitching new models. 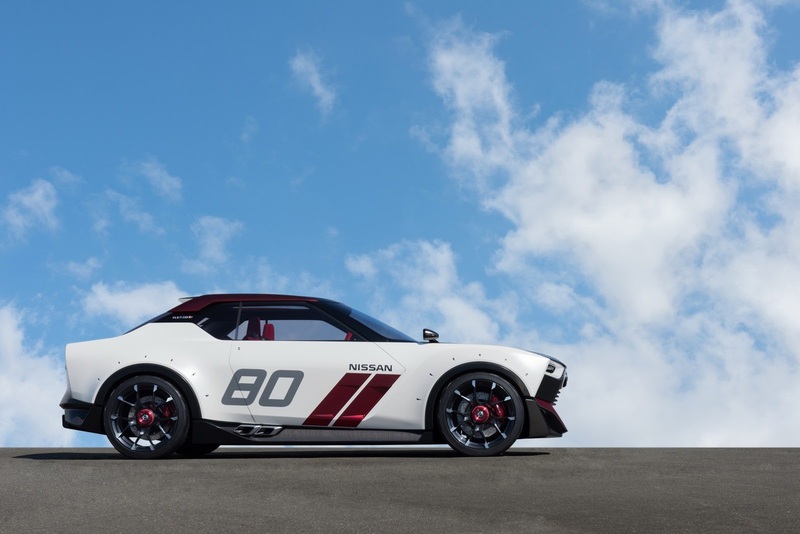 But as it commemorates its 80th birthday Nissan is daring to not just create cars, but involve talented members of the public in a whole new way of creating new cars. 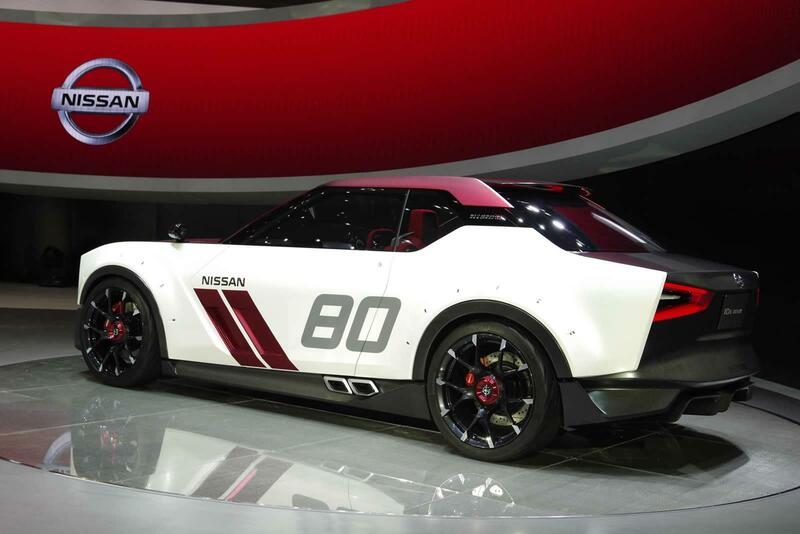 Nissan calls it “co-creation” — collaborative creativity applied to the process of developing new automobiles. Why now? From creating artistic clothing designs to tackling global challenges, the Internet enables people to share ideas and participate in group projects through online communities. Professionals work with novices and academics. 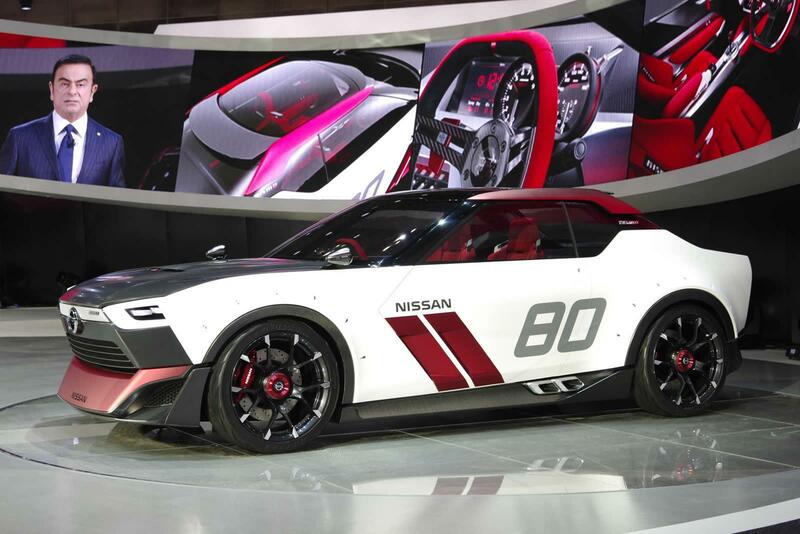 The one thing that ties them together is a passion for creative problem solving. 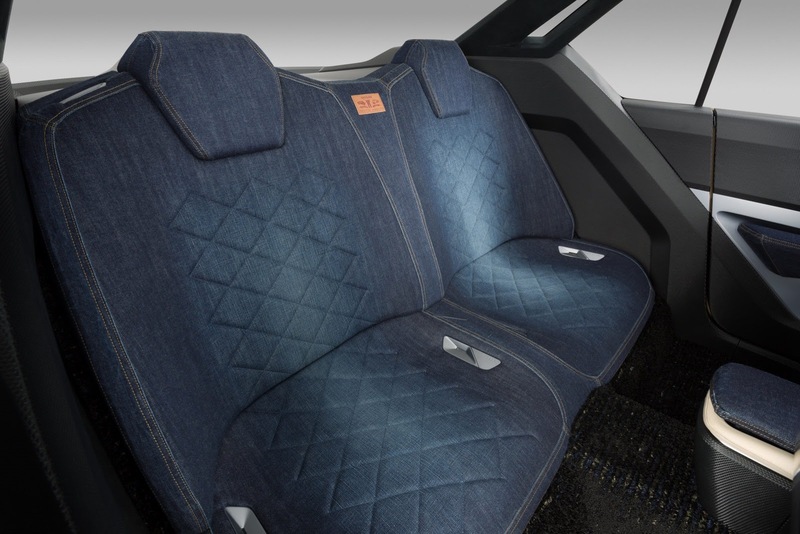 Looking at the big picture, these trends add up to a growing interest in Do-It-Yourself and fascination with the process of collaborative creation. 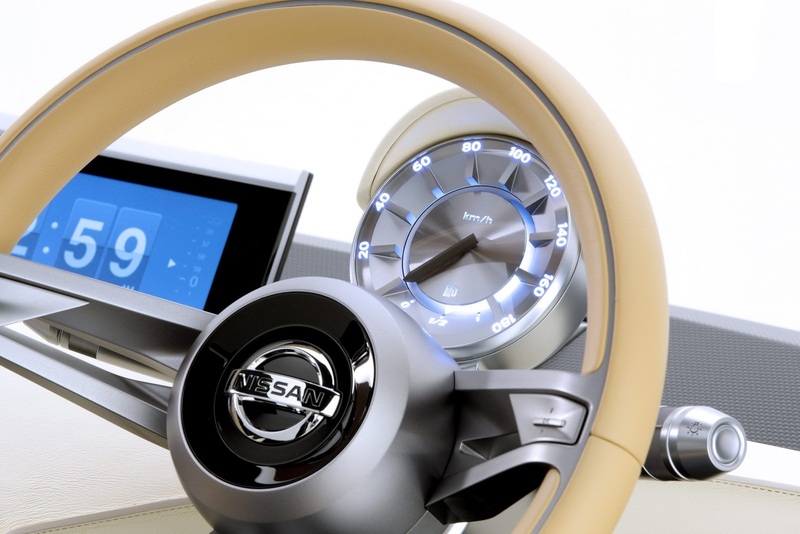 The time is right to bring participative innovation to automotive design and engineering. 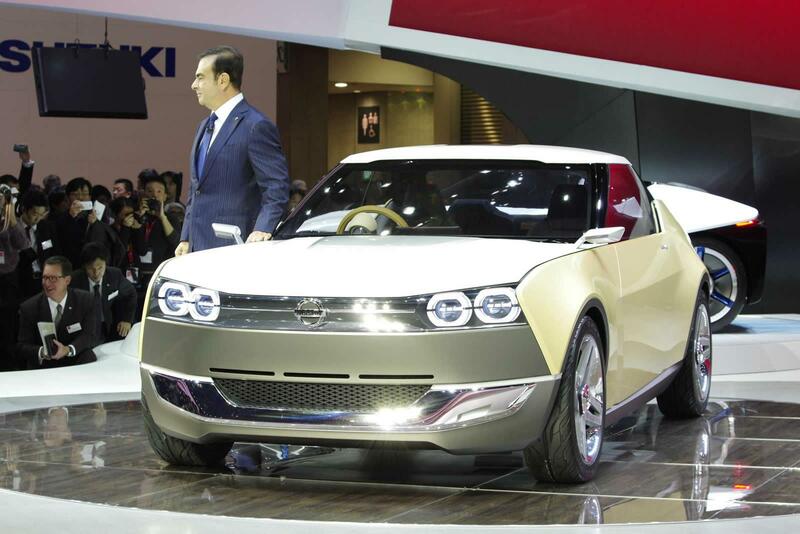 The Co-creation Process: How it Works Up to now, vehicle development seemed a closed, specialist-only process. 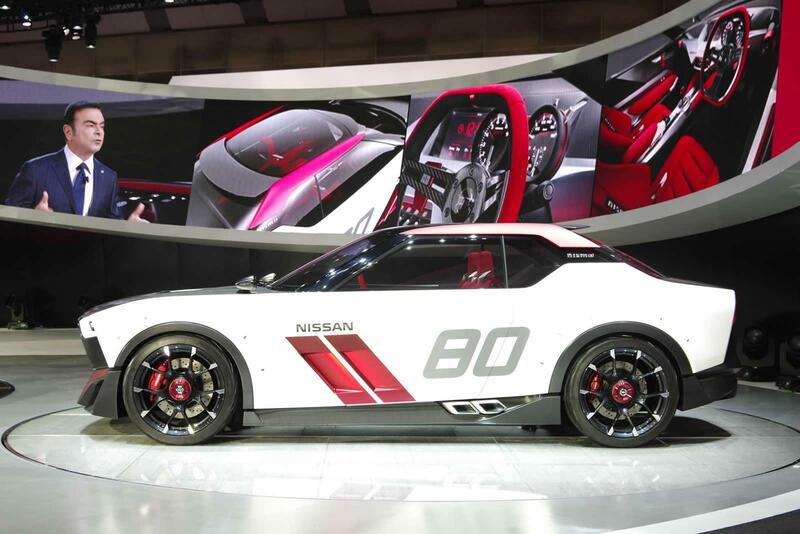 The advent of co-creation now blurs the line between producer and consumer. 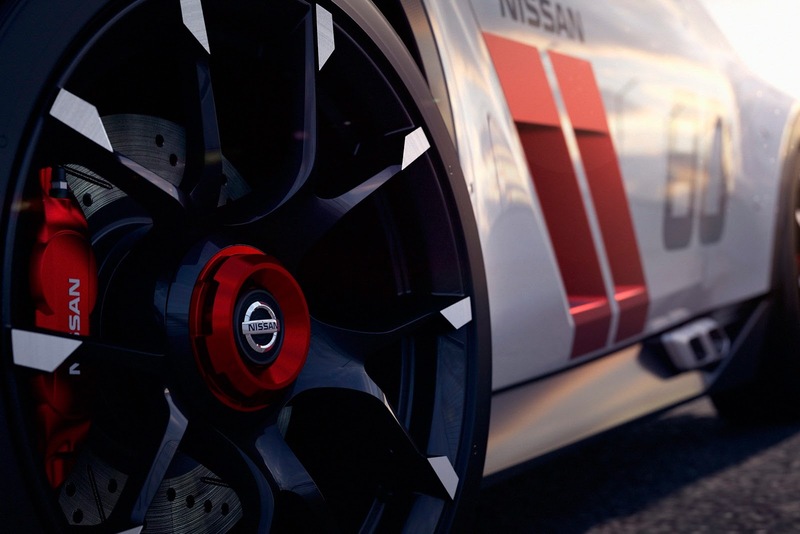 It starts with Nissan inviting passionate individuals to join the development team. A project begins with a topic or theme. 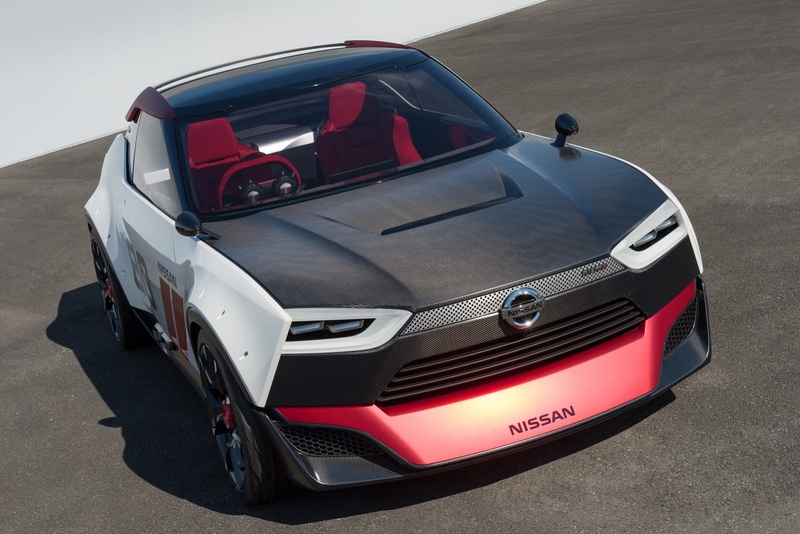 Then the co-creation community, comprising Nissan and customers, rethinks everything — from the primary question of how the vehicle will be used to the car’s “personality.” The next stage is joint development of styling and engineering. 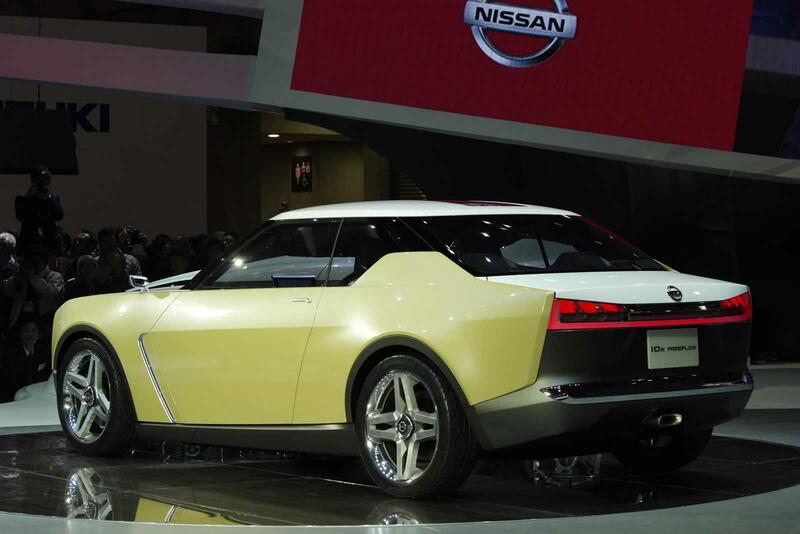 Finally, Nissan manufactures the car. With co-creation, customers get an opportunity to interact with other passionate likeminded people and creative professionals. Through this exciting collaborative process they give birth to something great that is also meaningful to them on a personal level. 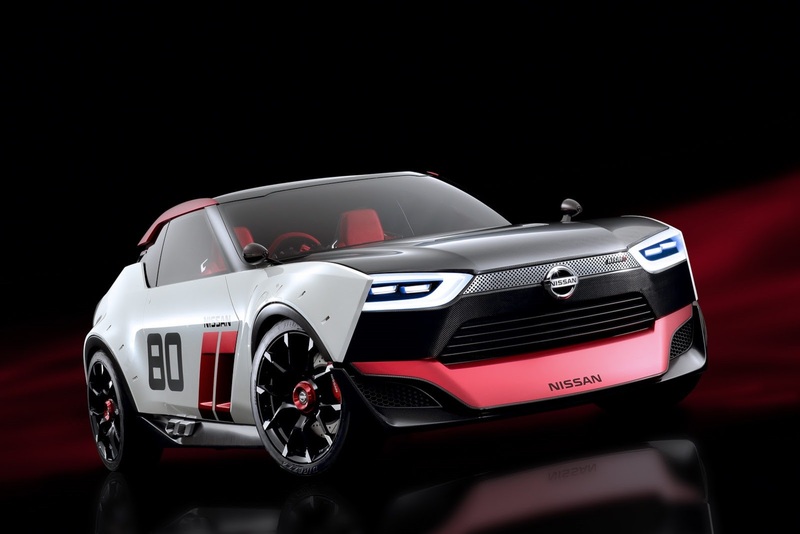 For the Tokyo Motor Show, Nissan is exhibiting two show cars, IDx NISMO and IDx Freeflow, as examples of the kind of output one could look forward to in an actual co-creation scenario incorporating the values of digital natives. 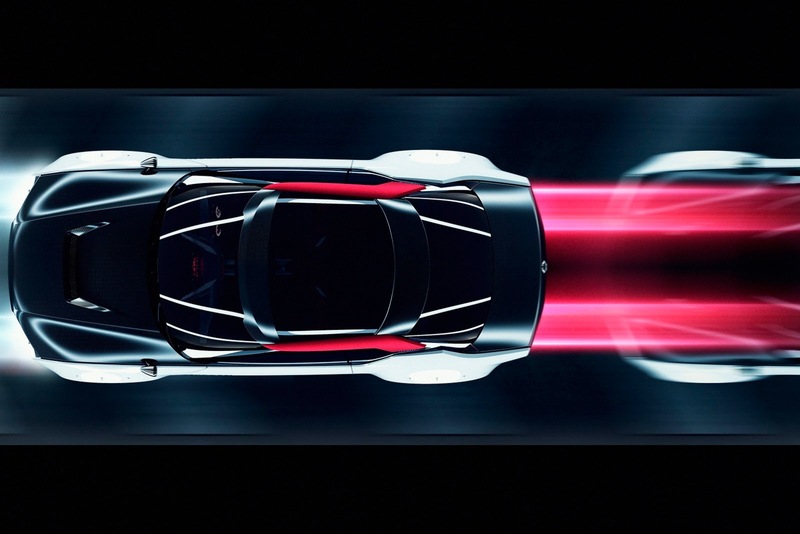 Both cars have the same starting point – a generic platform that is easy to understand; it stimulates people to indulge their sense of play and gives free rein to their imagination. 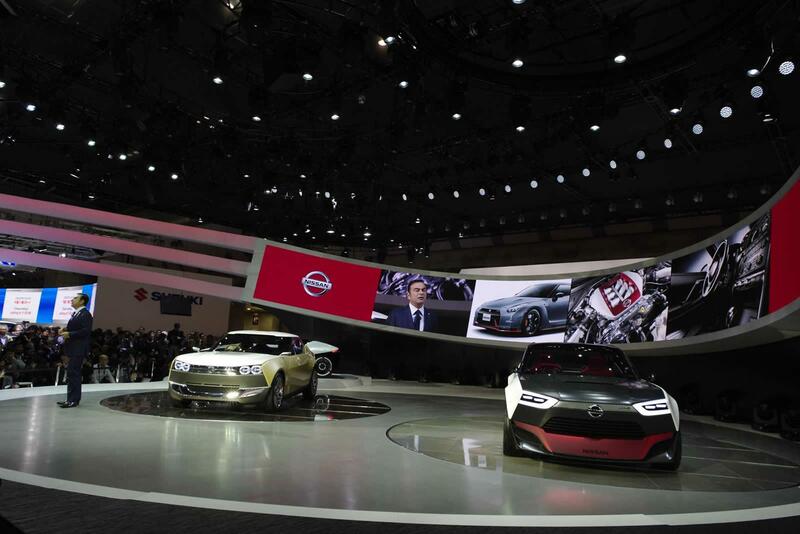 The two show cars give a glimpse of how co-creation can generate completely different solutions depending on the theme and participants, while building off the same base. This is a flexible platform that allows diverse customers to contribute their ideas and realize their ideals, thanks to its relative simplicity and solid performance. 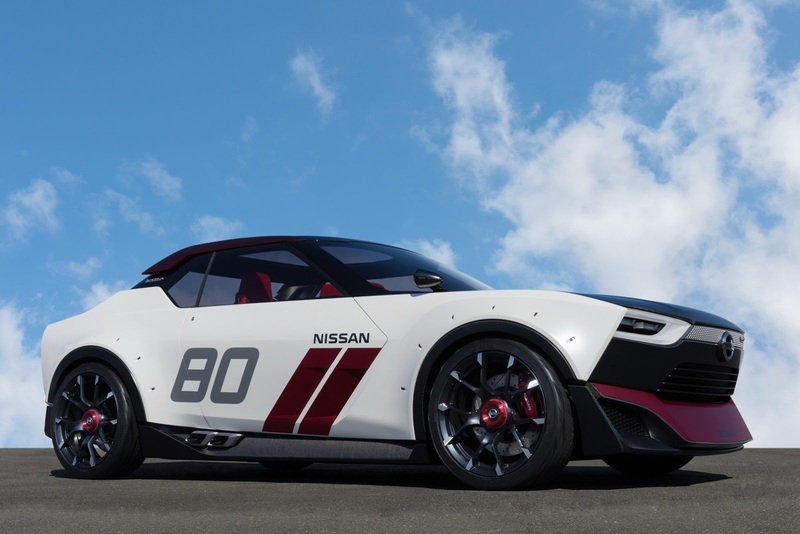 For Shiro Nakamura, Nissan’s senior vice president and chief creative officer, co-creation means exciting new possibilities for vehicle design. 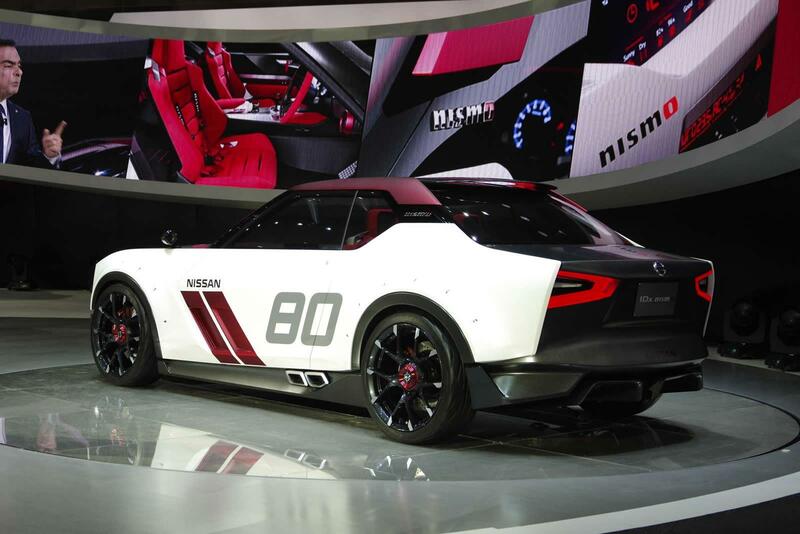 “Nissan is recognized as a true pioneer in automotive design and is still creating whole new product genres. 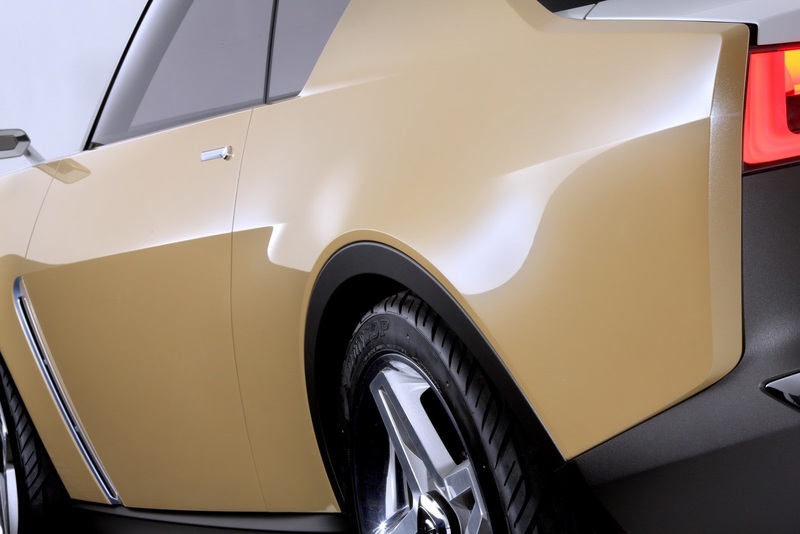 By reaching out to digital natives as collaborators in our vehicle design, we are looking to the future. 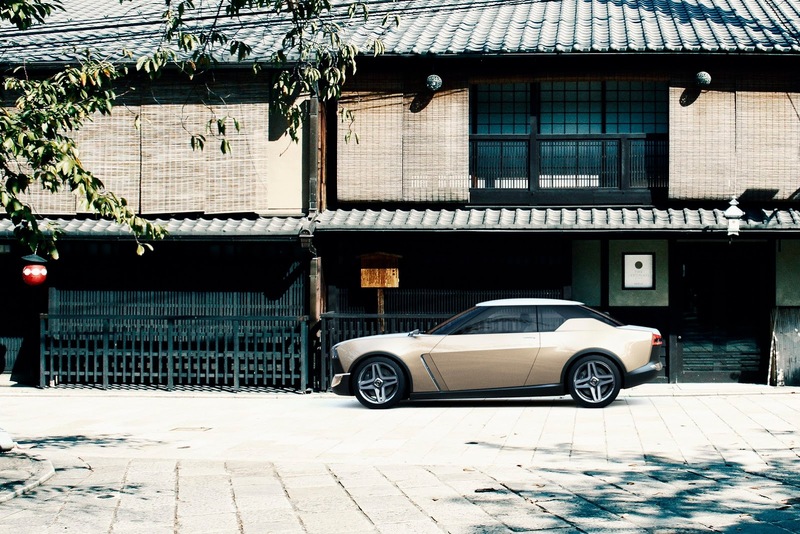 They sense the purity of Nissan’s history and how the value we create transcends the times. 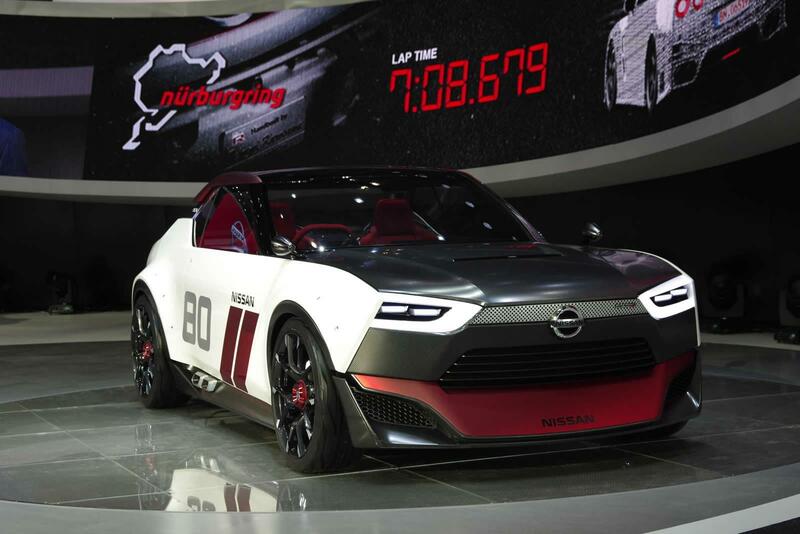 Both concept cars on display use the same basic body construction, but appear to be completely different due to the divergent creative themes and the originality inculcated by the participating members of each team. With a product development process that stresses flexibility, each platform becomes a springboard of expressing new ideas for collaborative communities, enabling an ideal to be realized in concrete form. 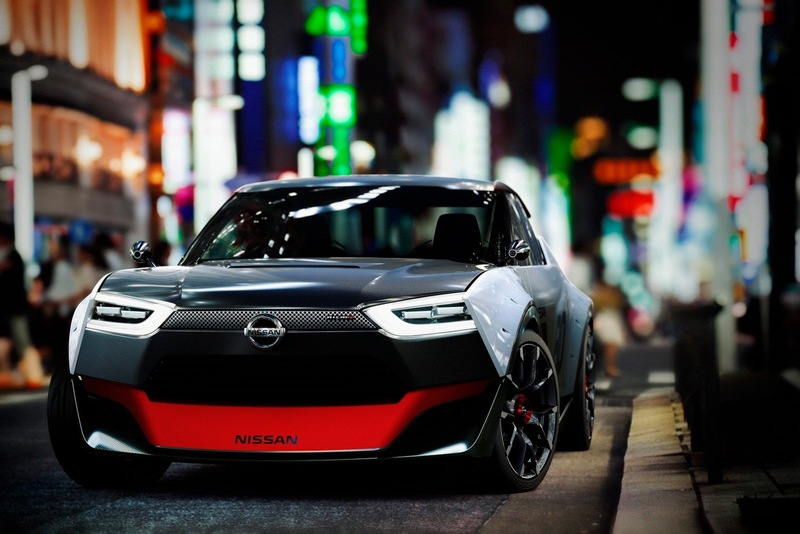 Forging a New Relationship between Nissan and Customers For digital natives, the co-creation experience adds “cars” to the things which can stimulate their creativity. 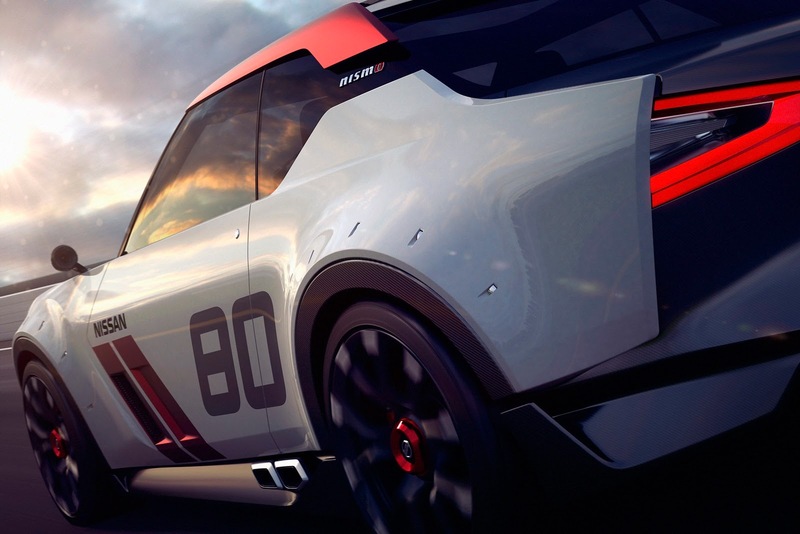 This fresh approach to collaborative work enables car lovers to help shape automotive development by combining their enthusiasm with the expertise accumulated by automotive experts. 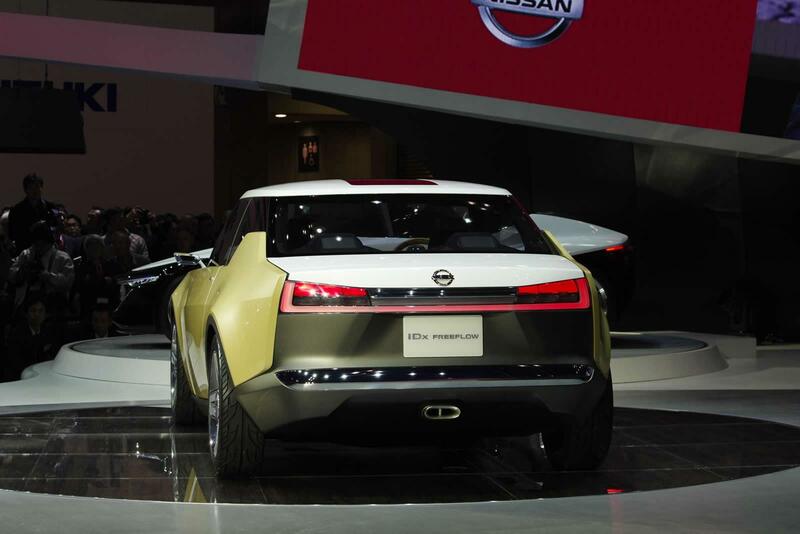 The result is not just vehicles that are relevant and optimized for future customers. 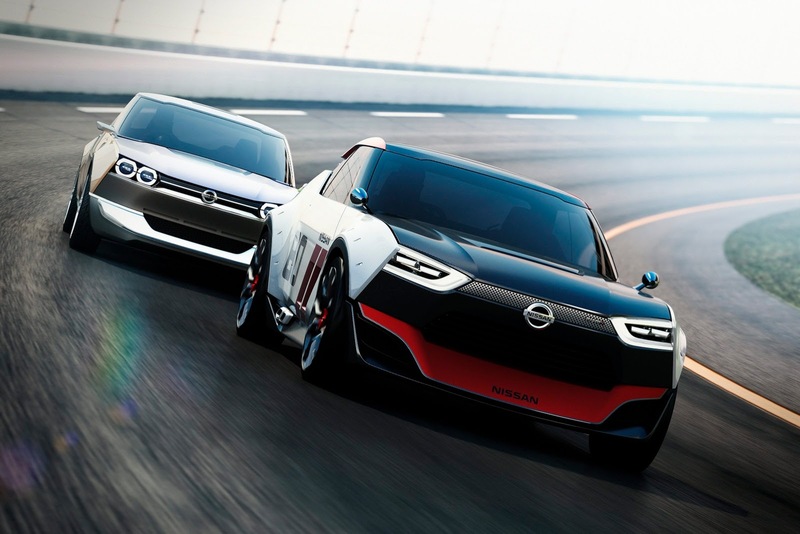 By opening up the product development that had, until now, been limited to specialists, Nissan is building new relationships with its customers. 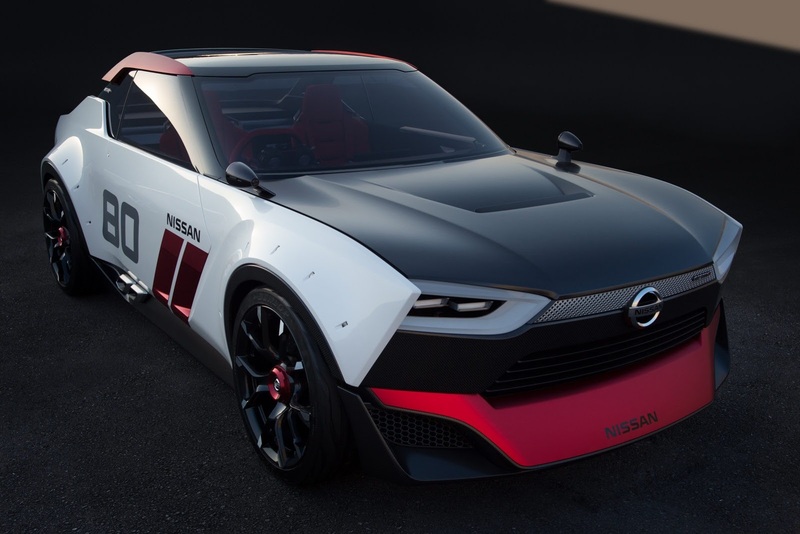 Looking ahead, Nissan is only at the beginning of its engagement with a variety of communities to stimulate and harness collective creativity….there is much more to come.